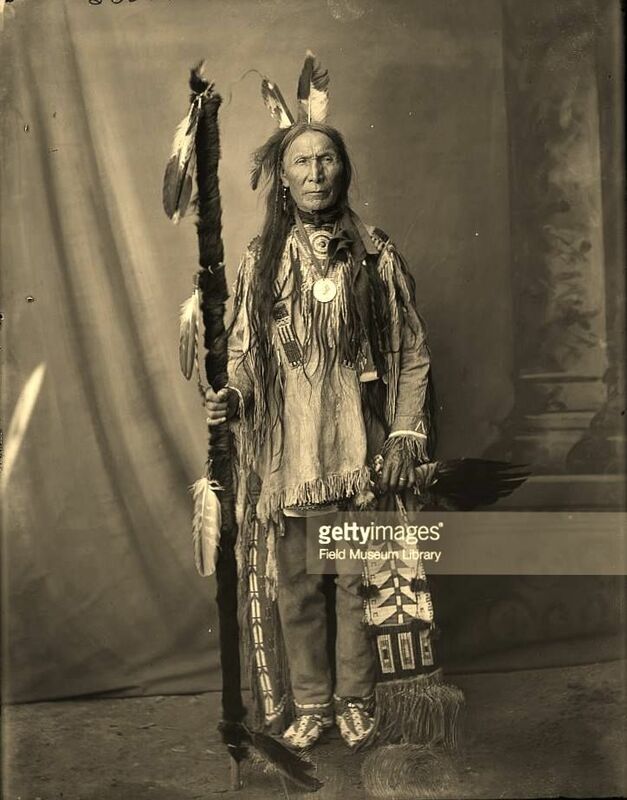 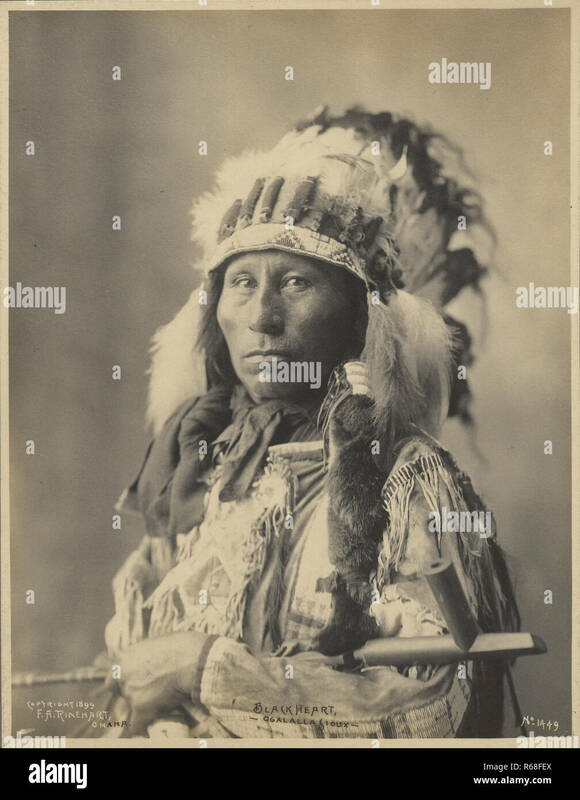 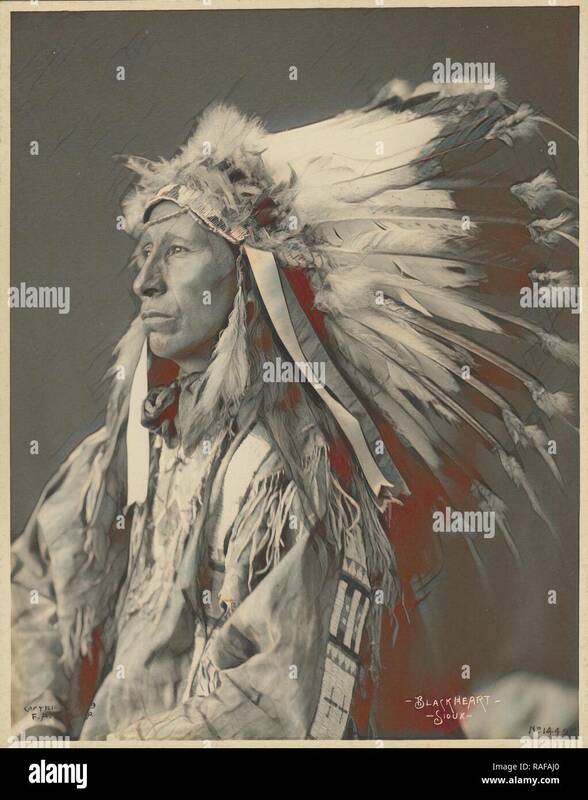 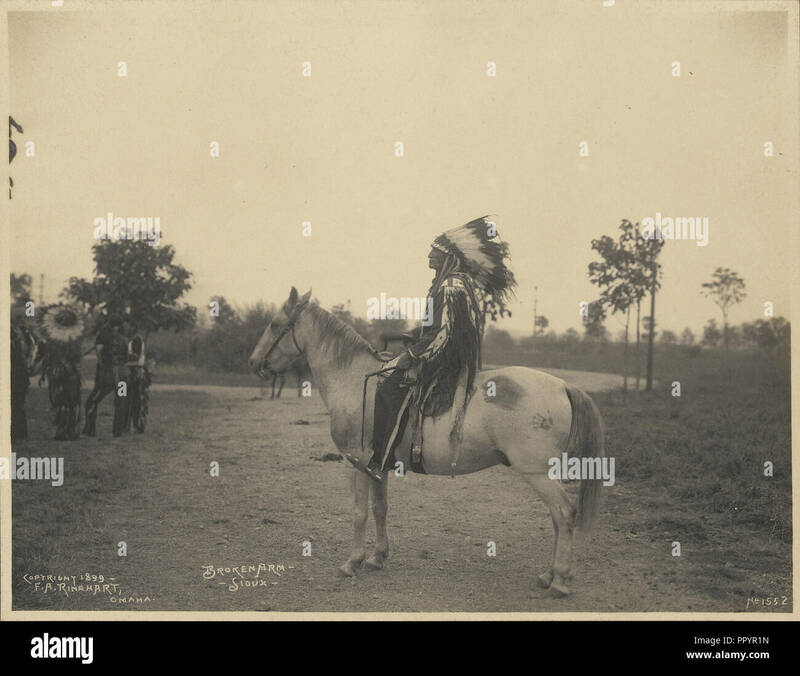 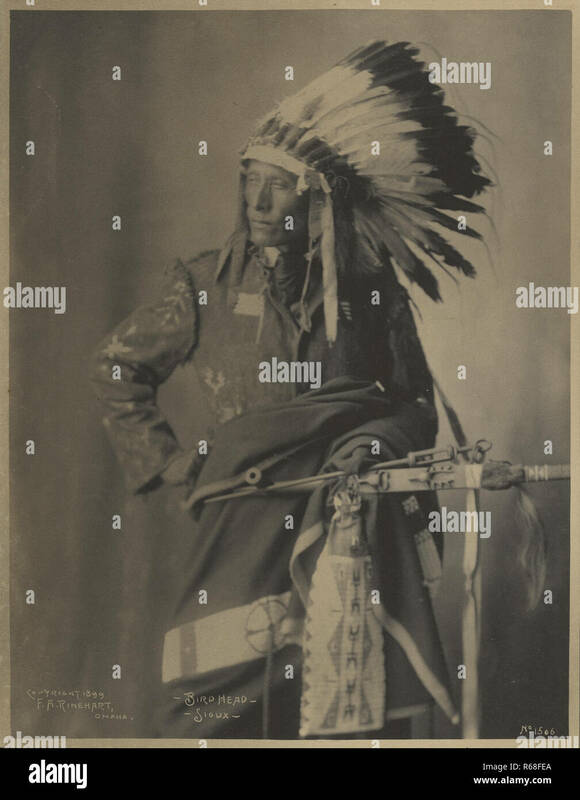 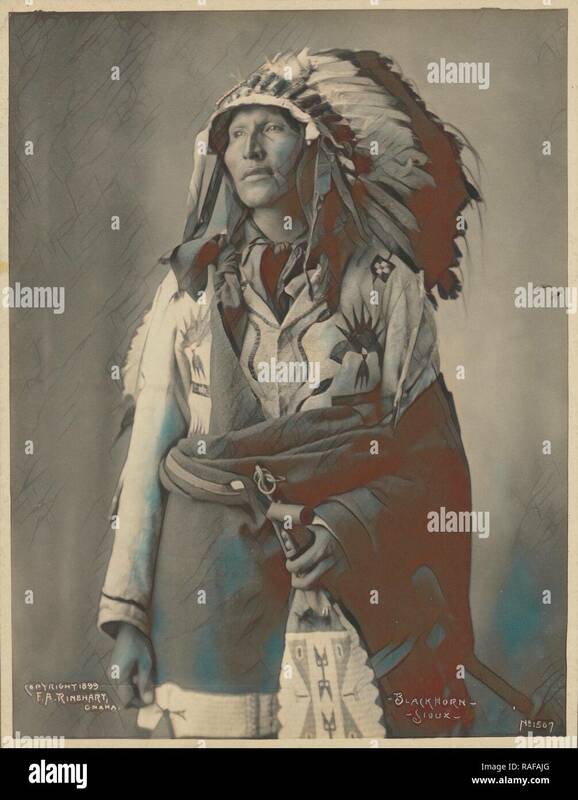 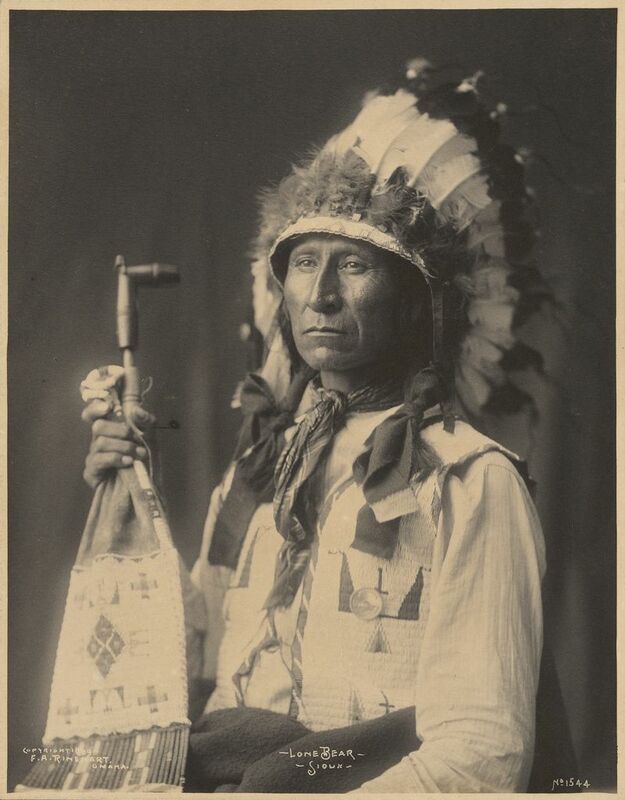 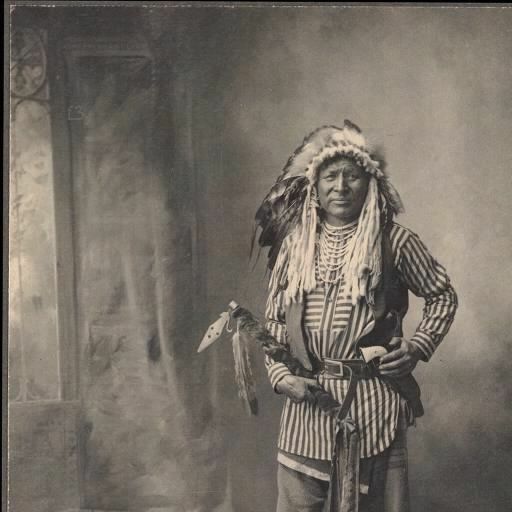 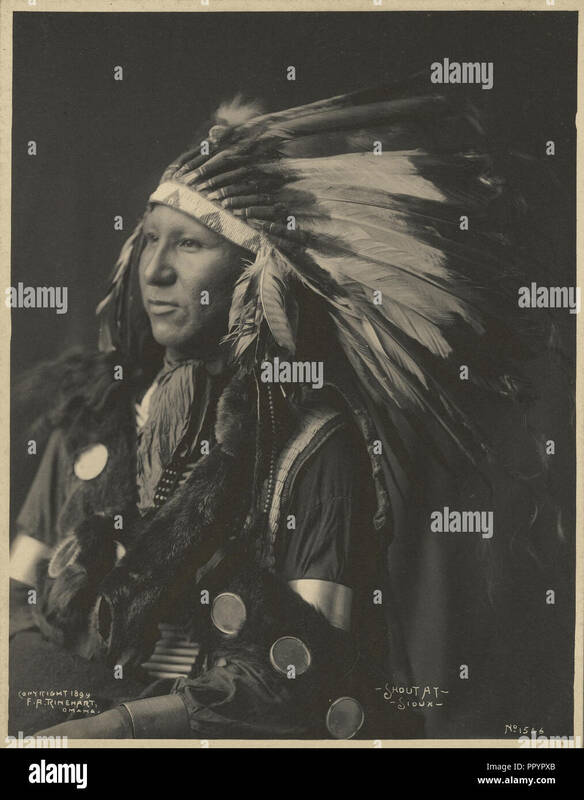 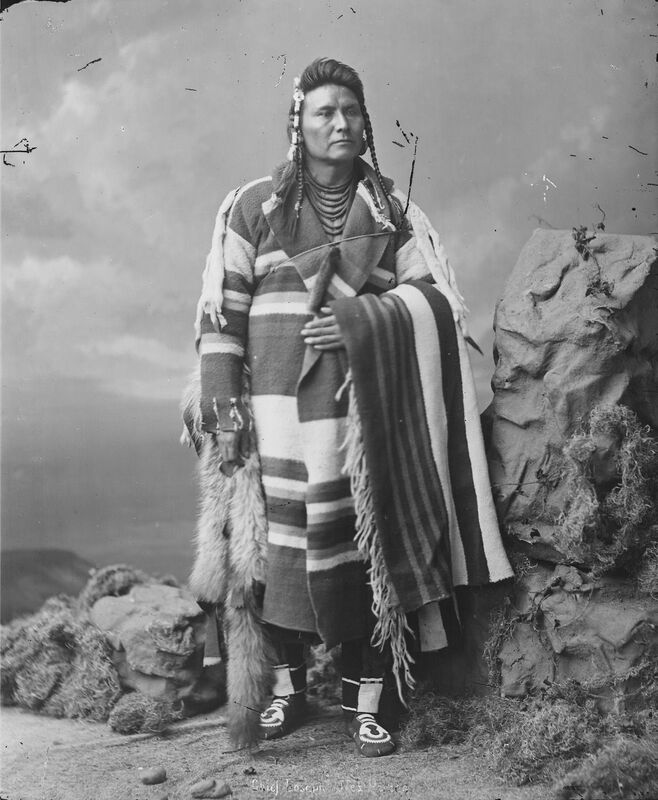 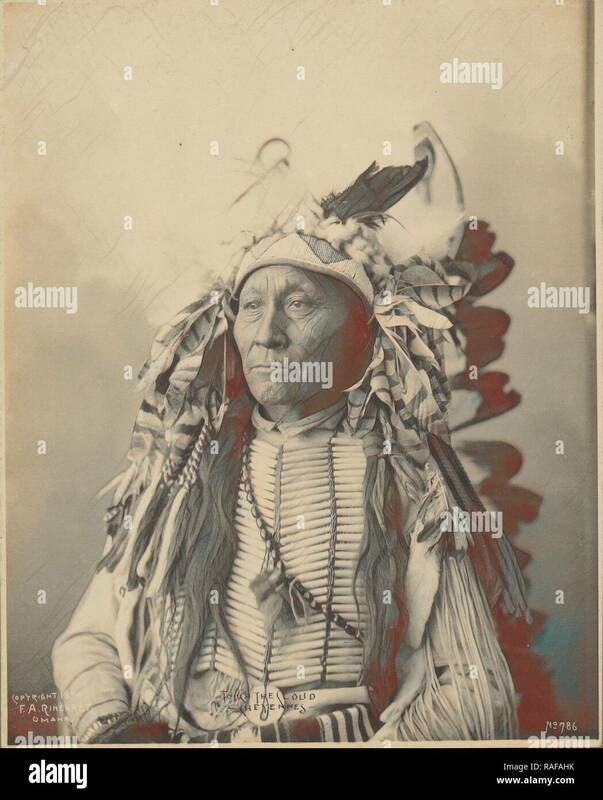 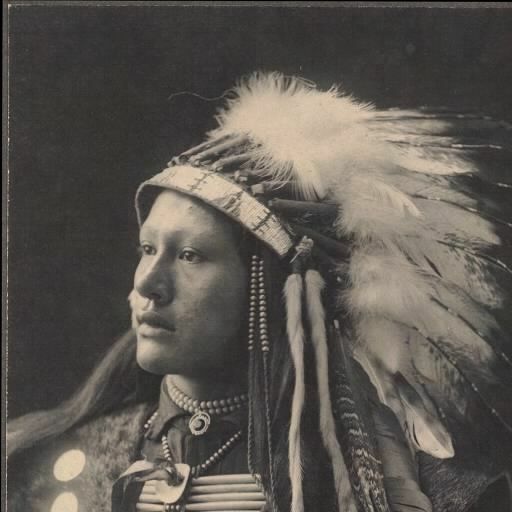 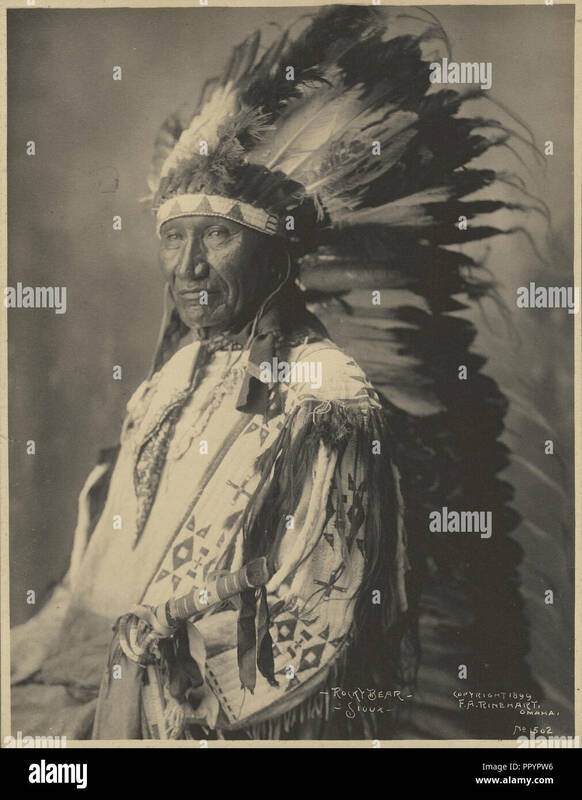 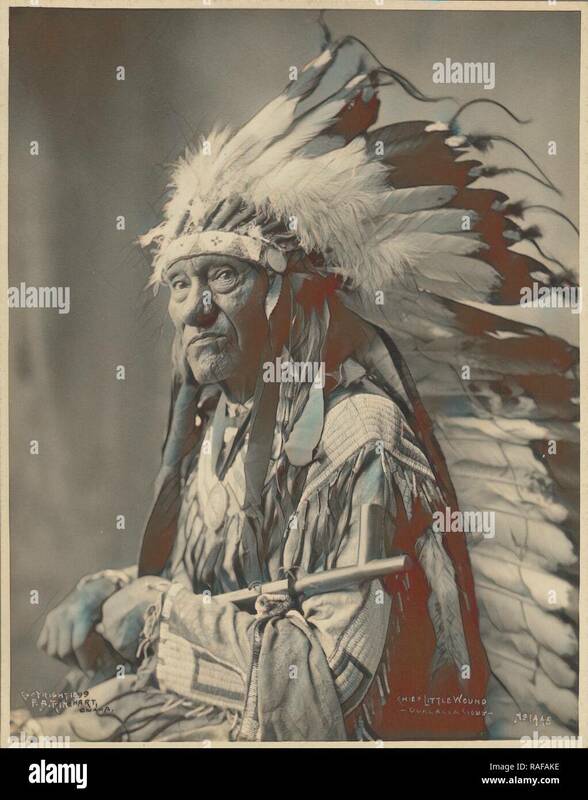 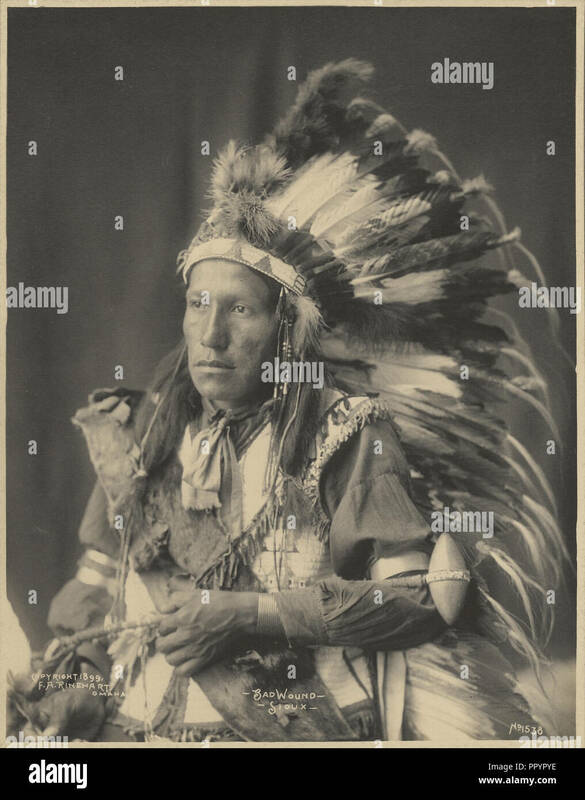 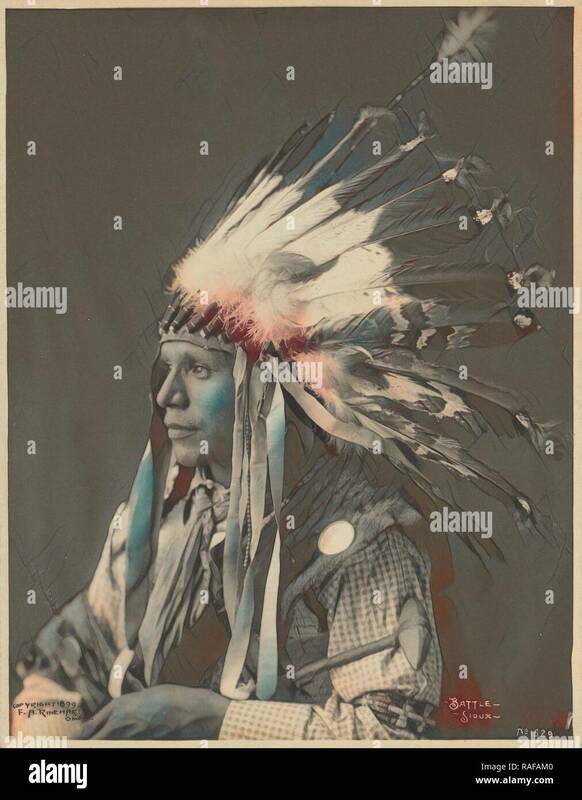 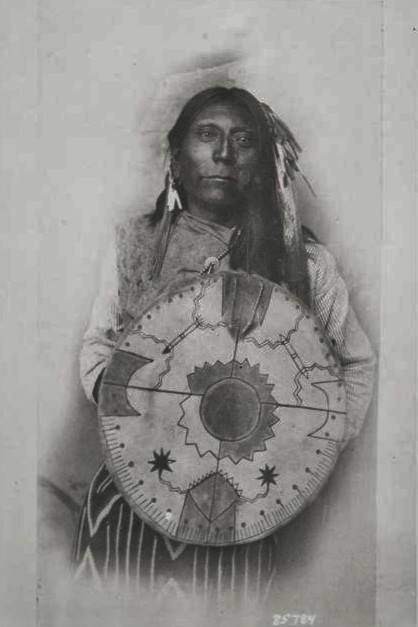 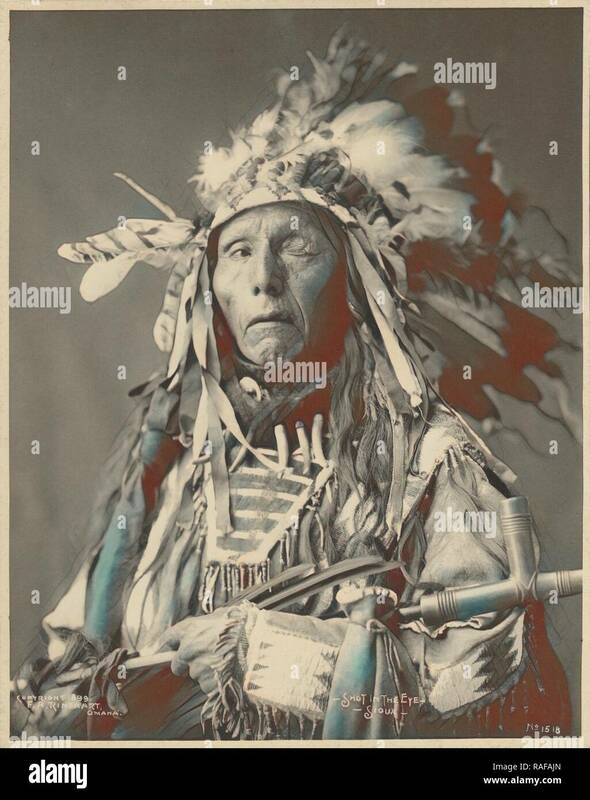 Lone Bear, Sioux; Adolph F. Muhr (American, died 1913), Frank A. Rinehart ( American, 1861 - 1928); 1899; Platinum print; 23.4 × 18.3 cm (9 1/4 × 7 3/16 in. 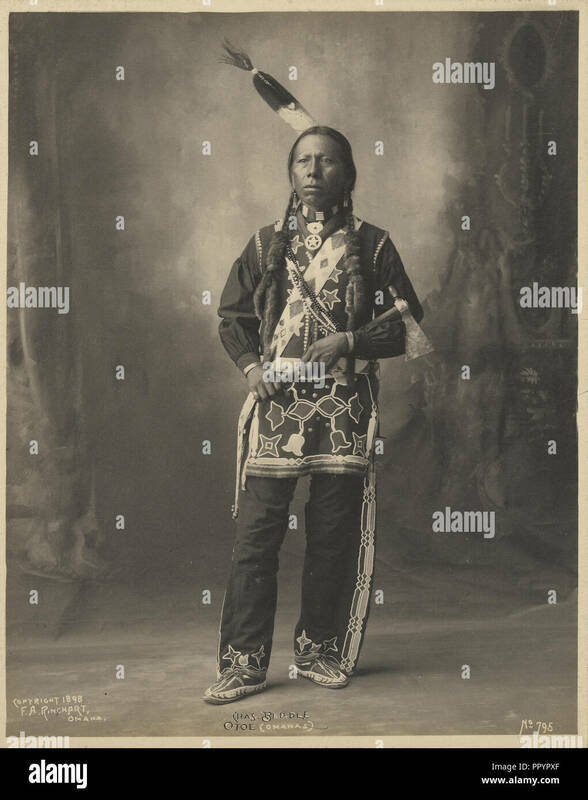 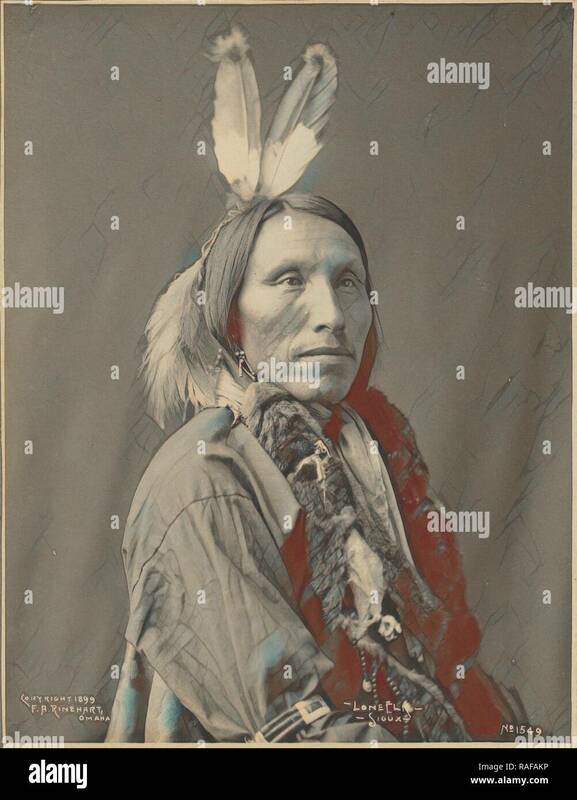 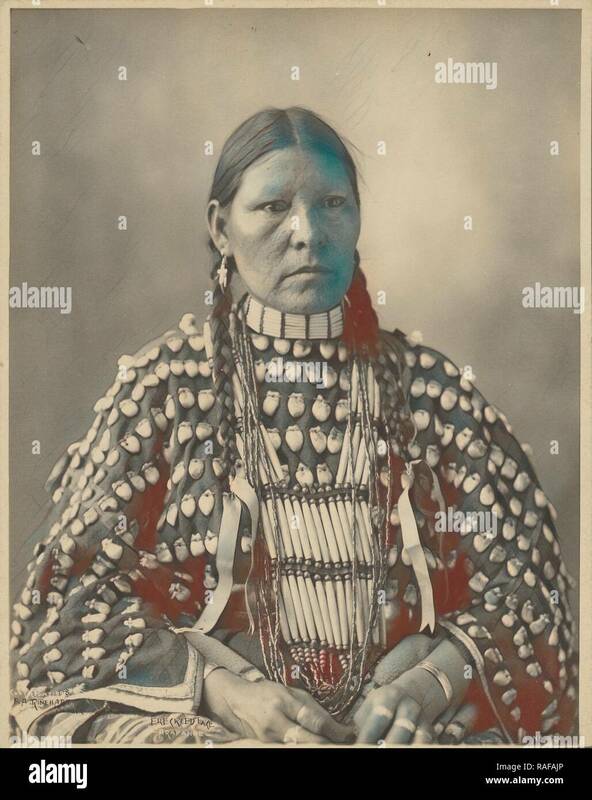 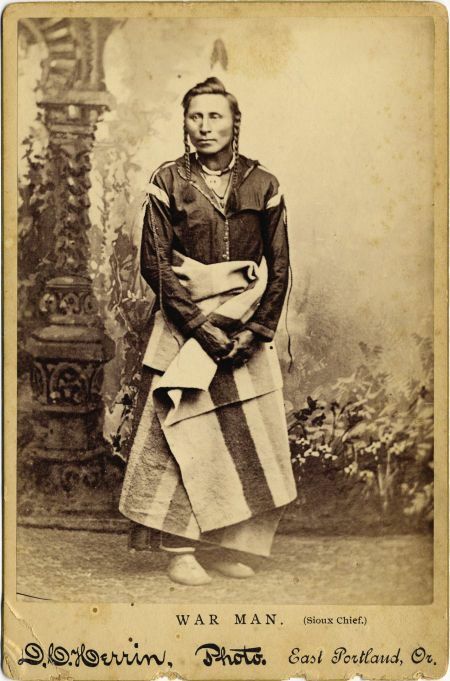 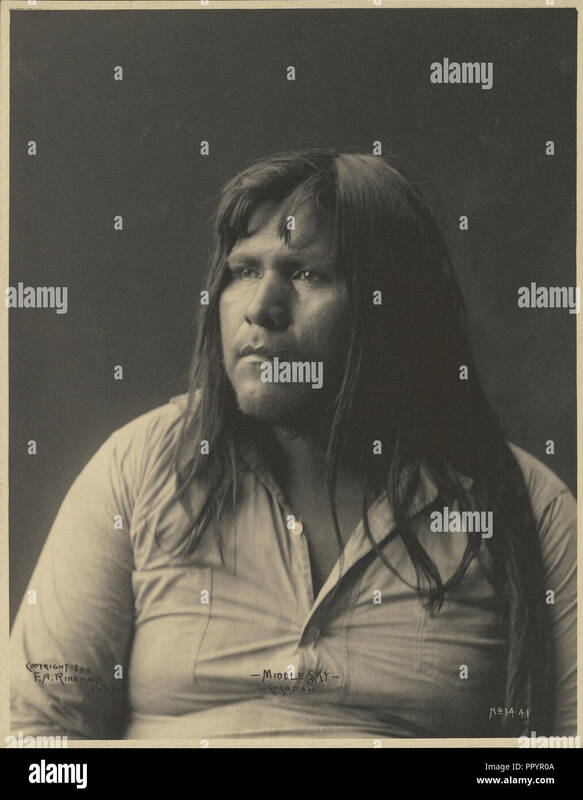 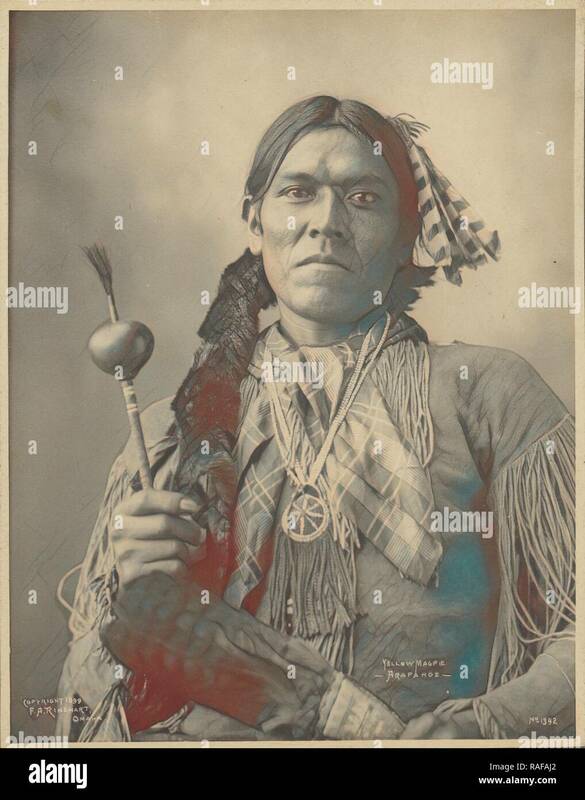 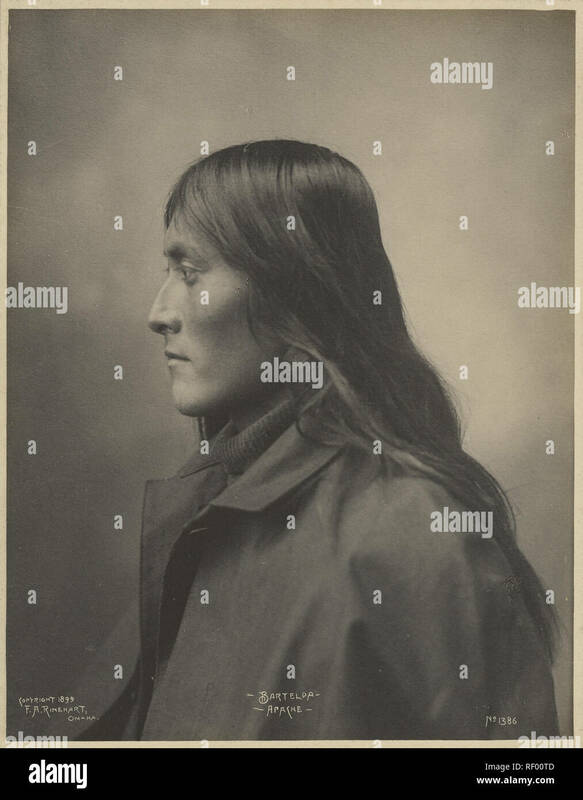 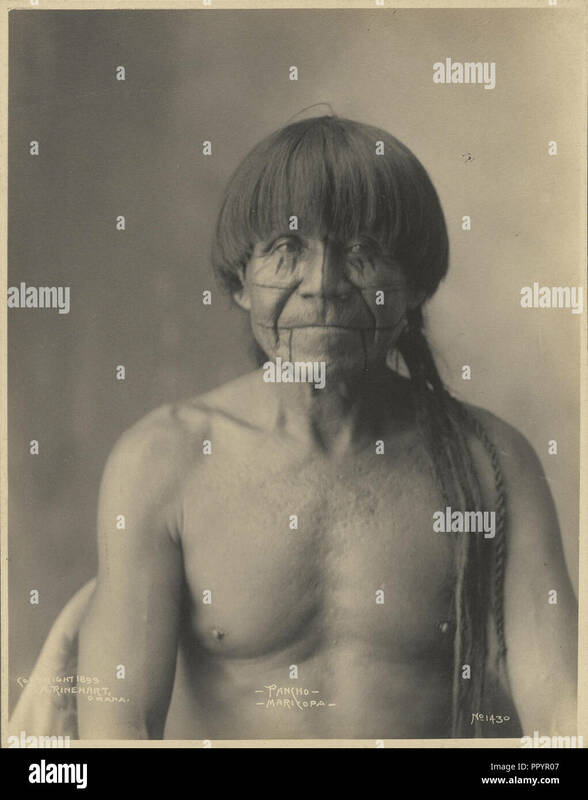 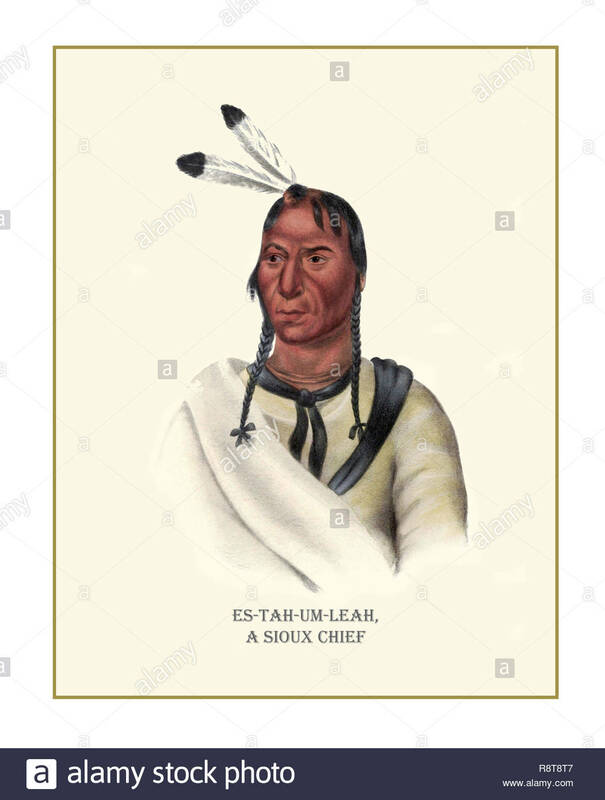 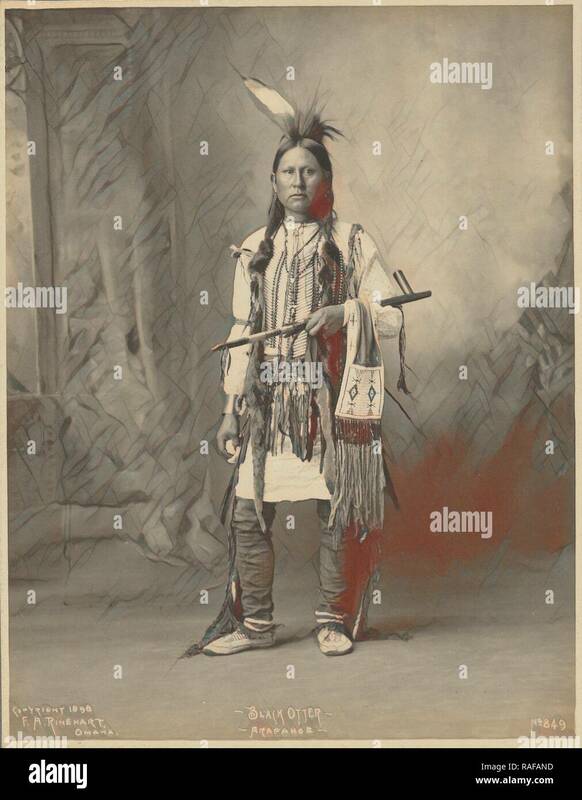 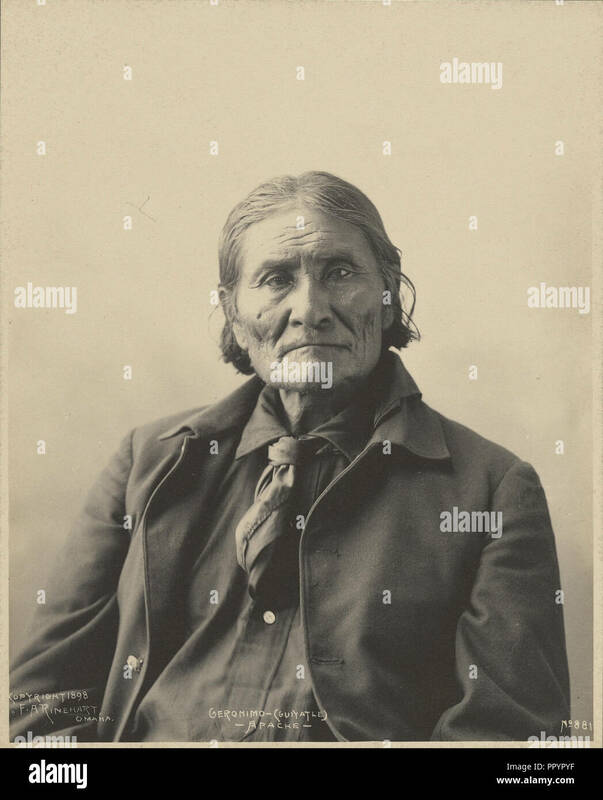 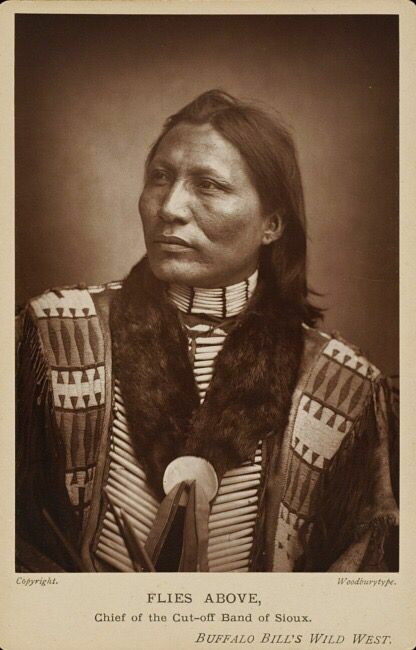 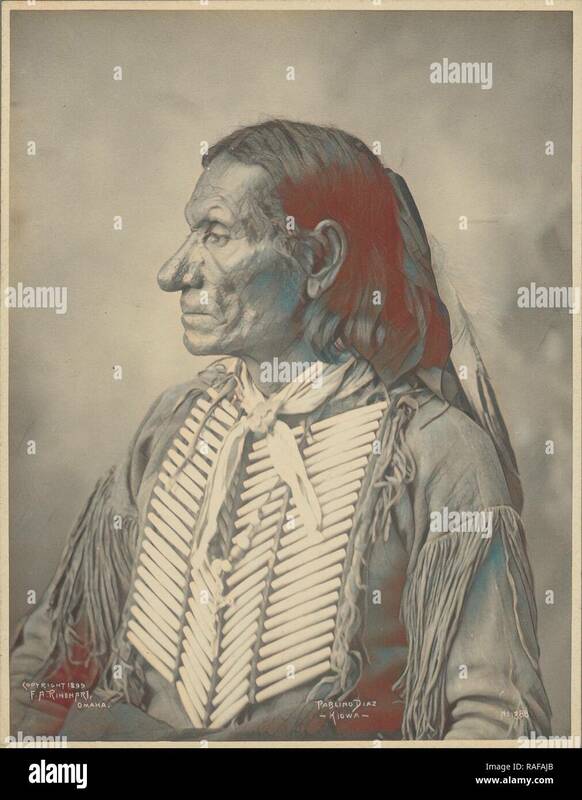 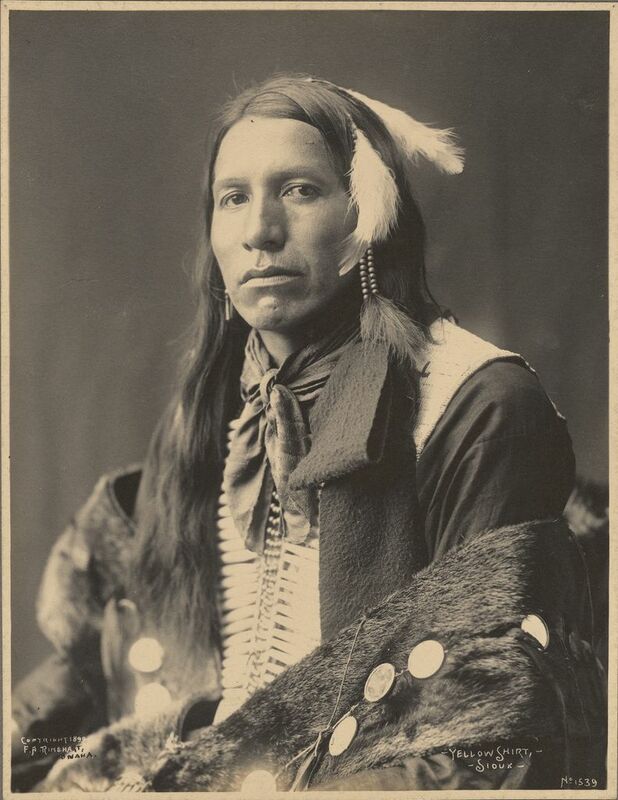 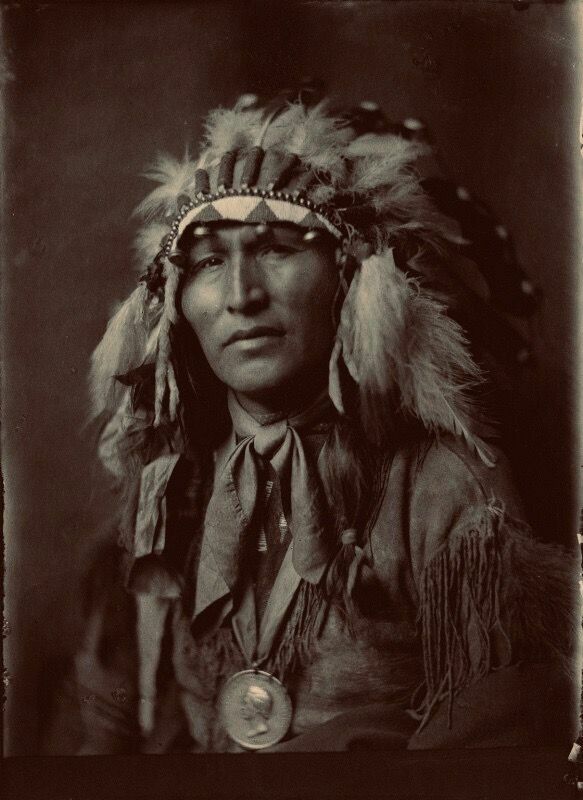 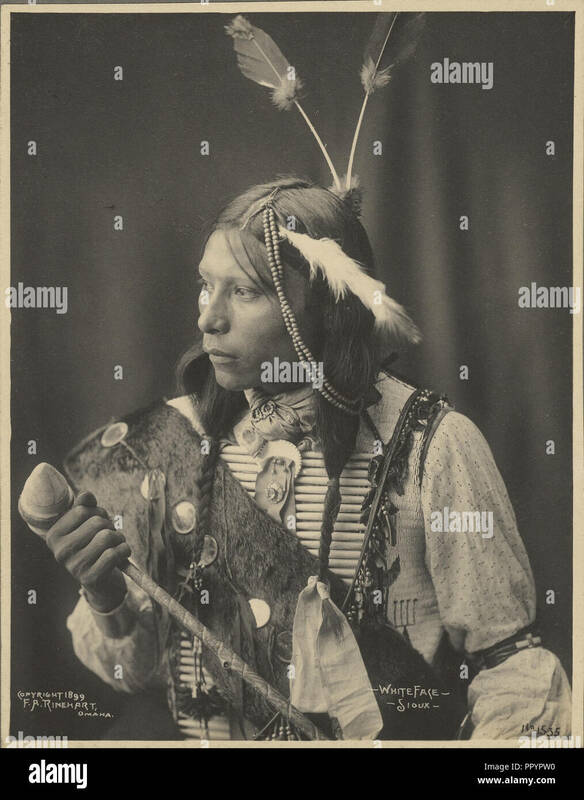 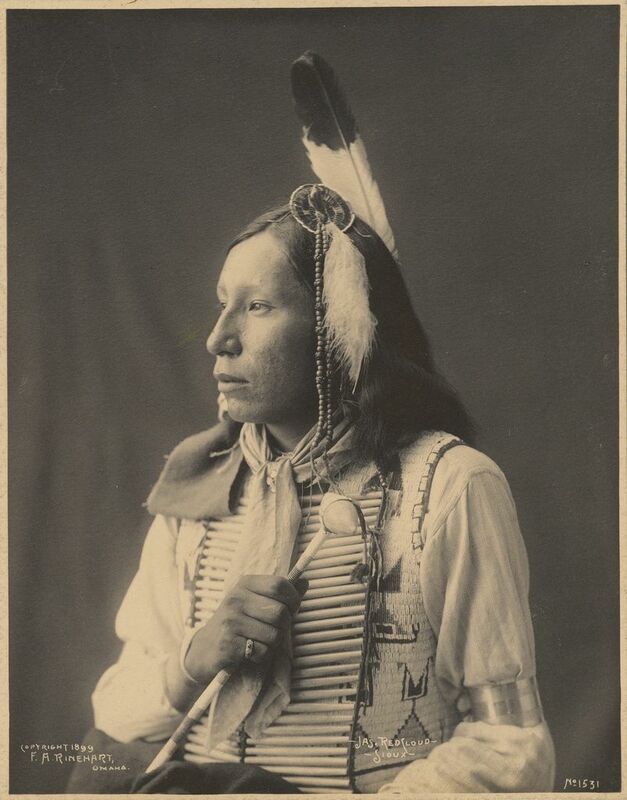 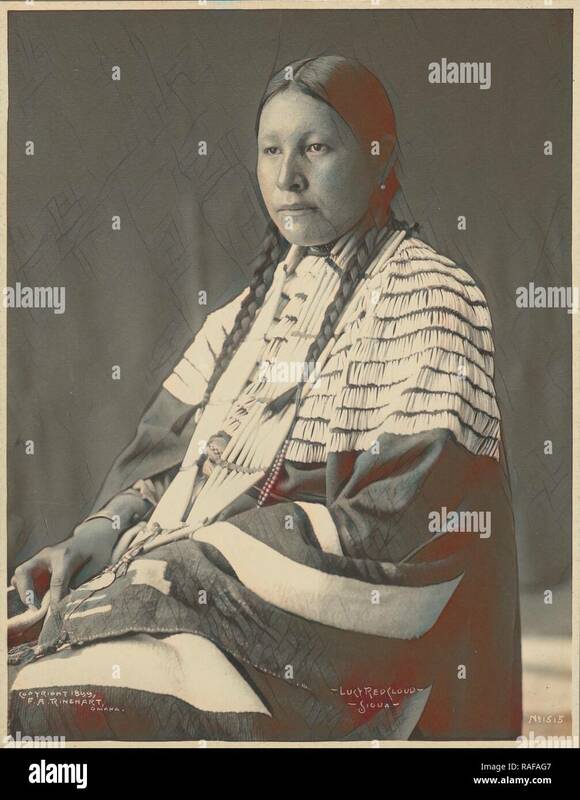 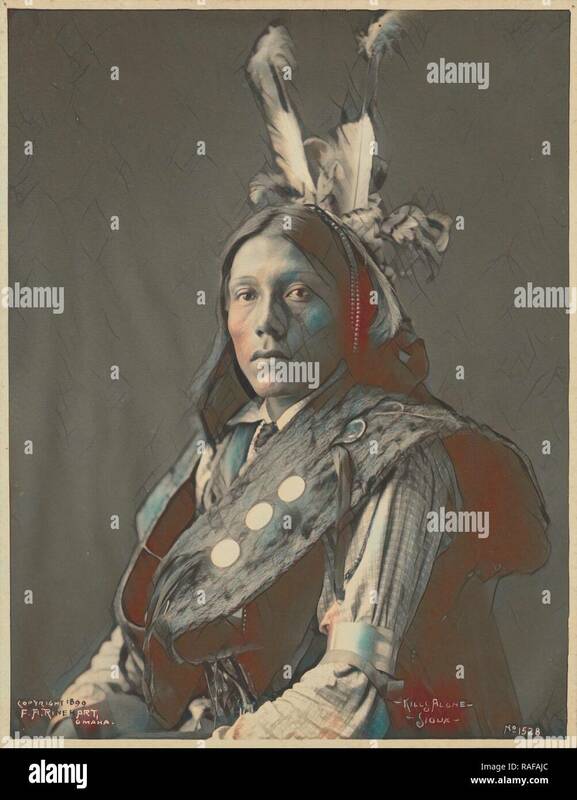 Yellow Shirt, Sioux; Adolph F. Muhr (American, died 1913), Frank A. Rinehart (American, 1861 - 1928); 1899; Platinum print; 23.7 × 18 cm (9 5/16 × 7 1/8 in. 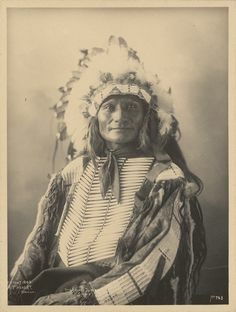 Sleeping Bear, Sioux; Adolph F. Muhr (American, died 1913), Frank A. Rinehart (American, 1861 - 1928); 1898; Platinum print; 23.2 × 18 cm (9 1/8 × 7 1/8 in. 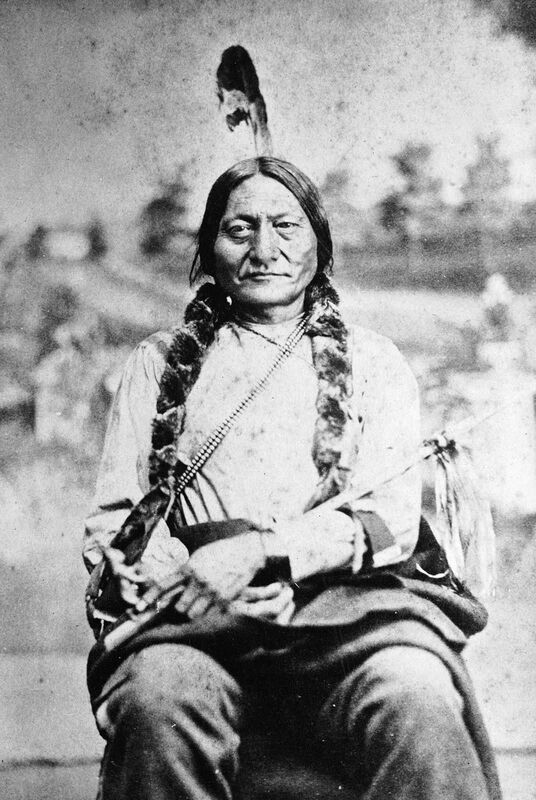 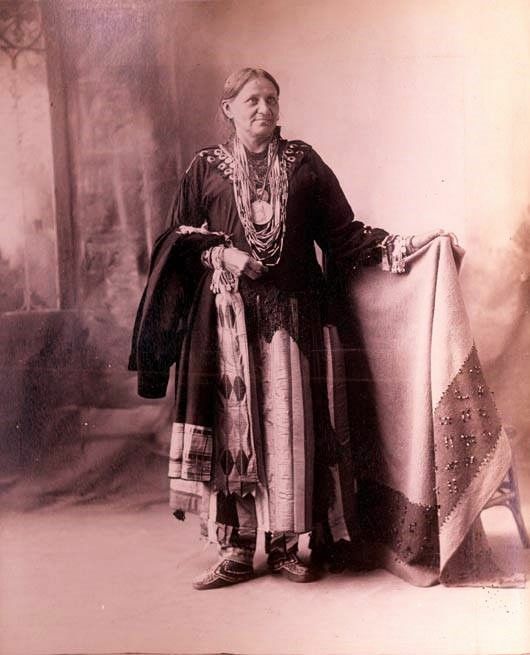 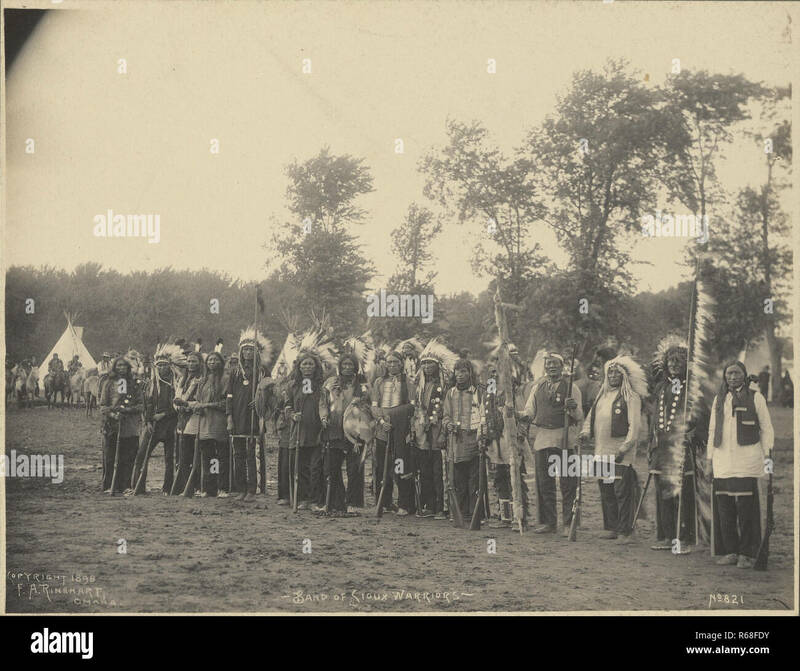 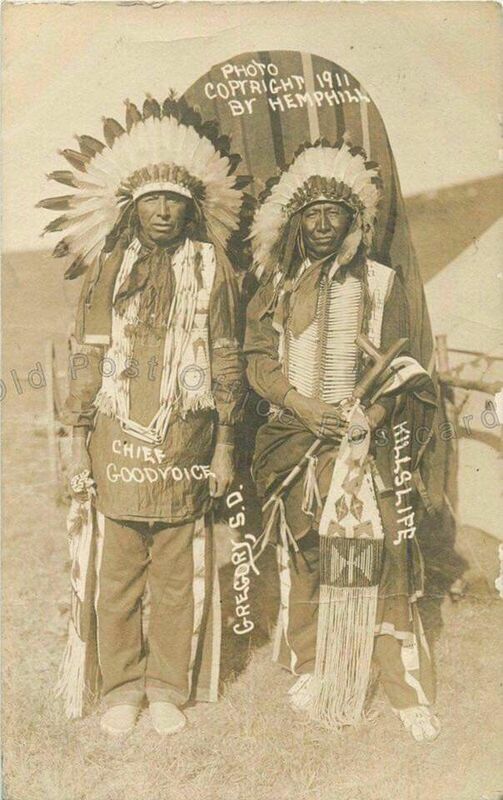 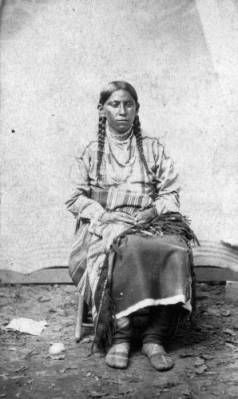 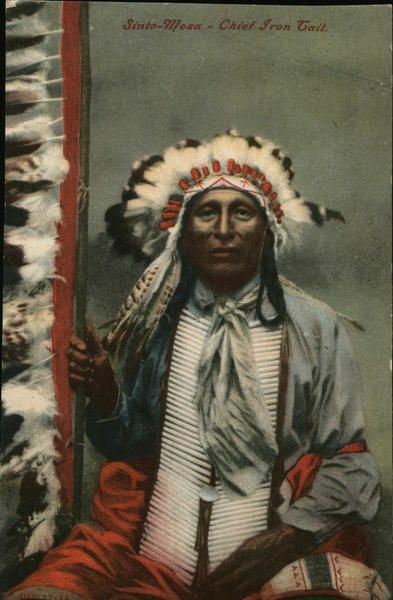 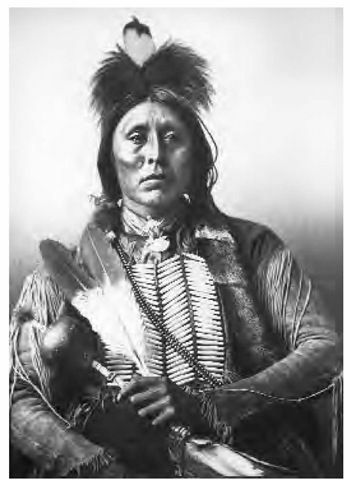 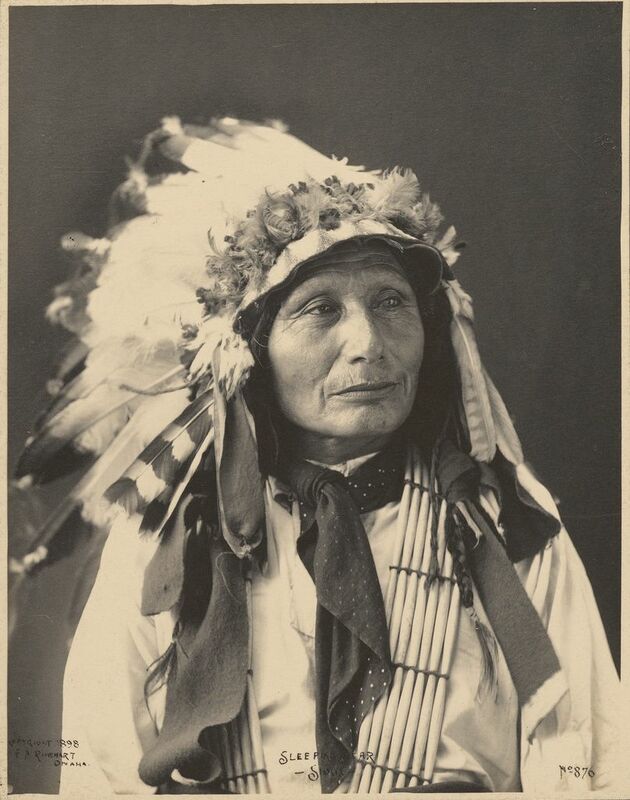 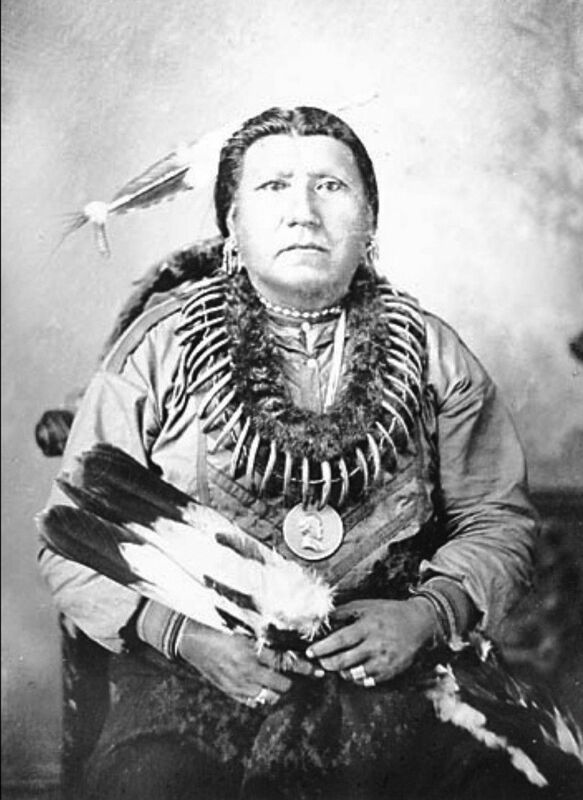 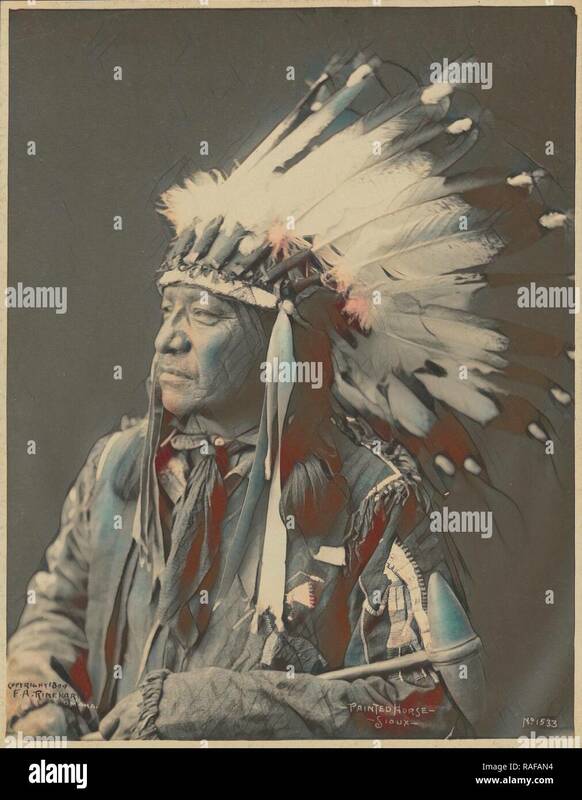 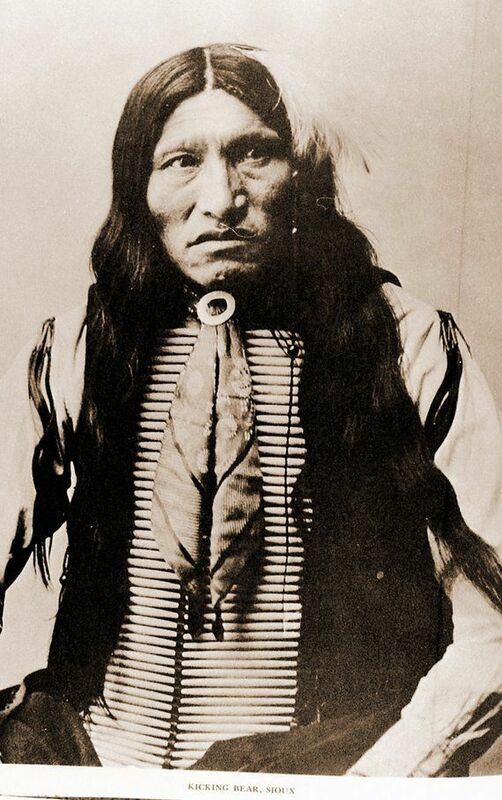 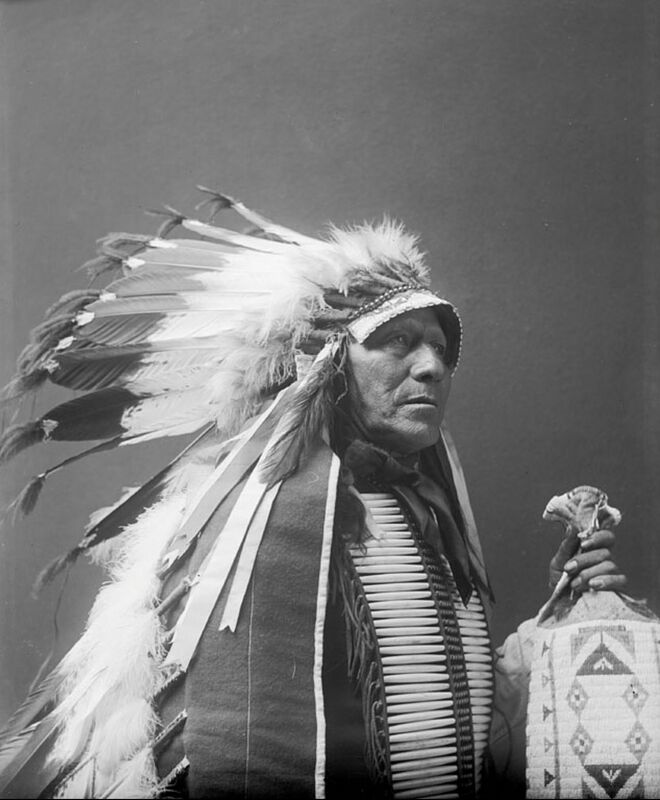 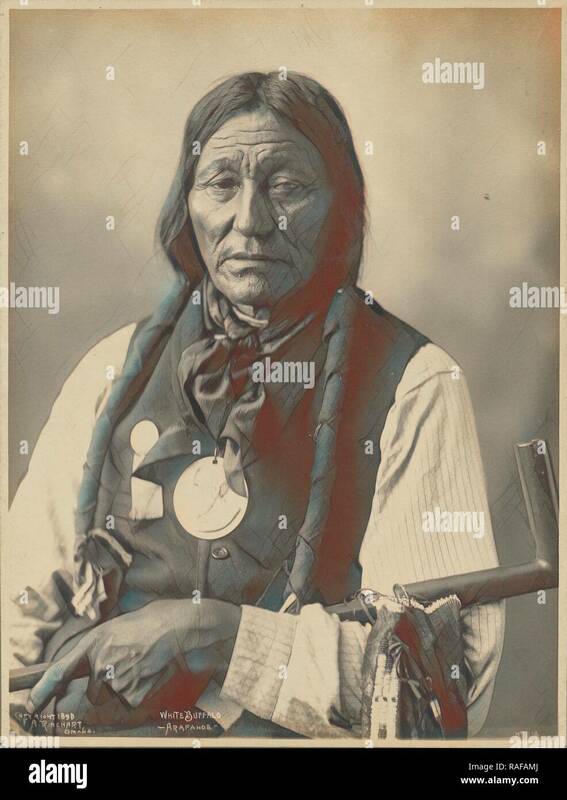 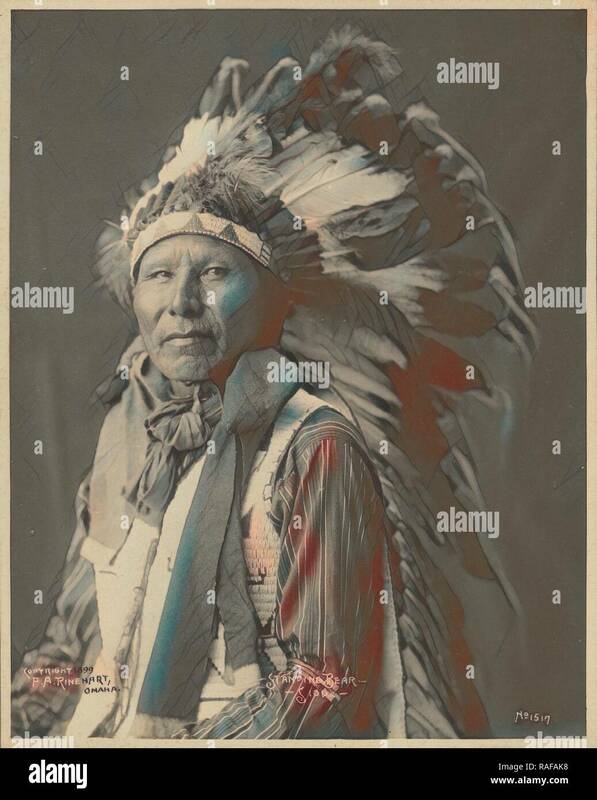 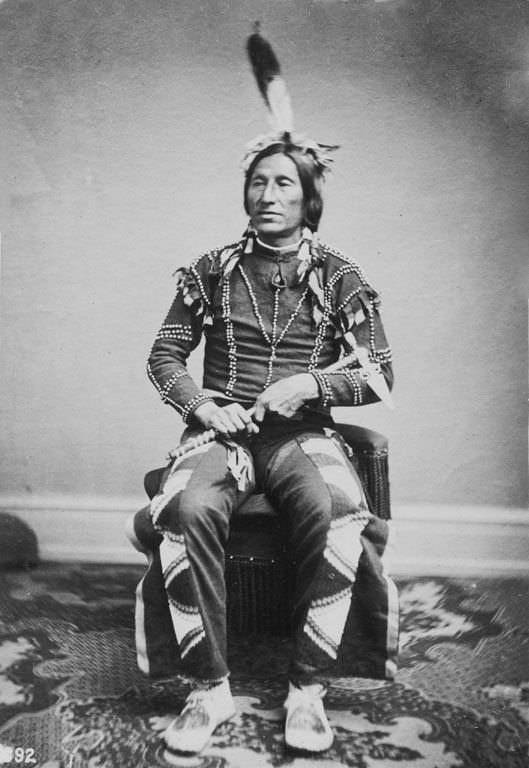 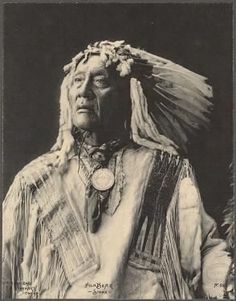 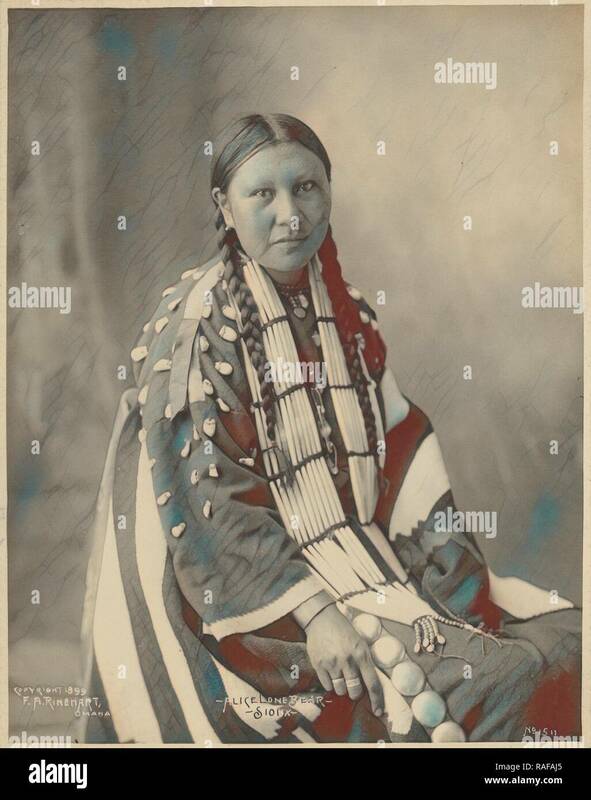 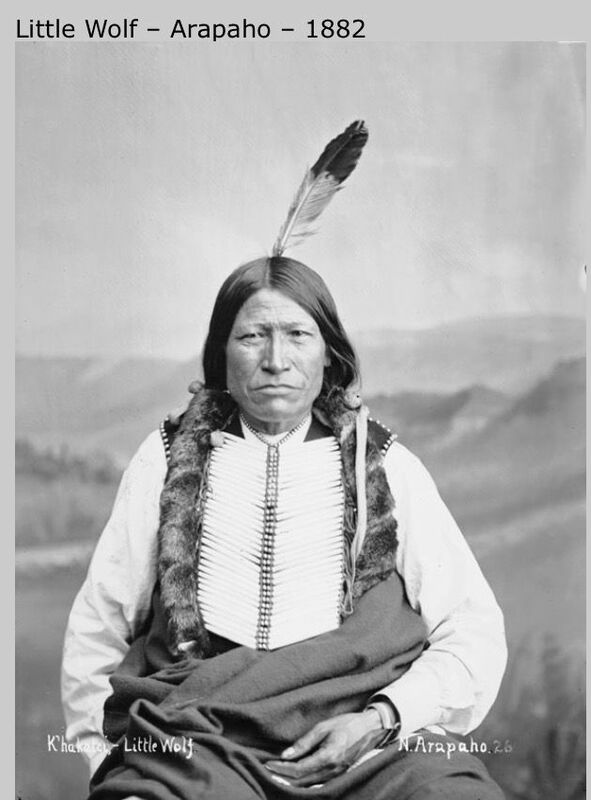 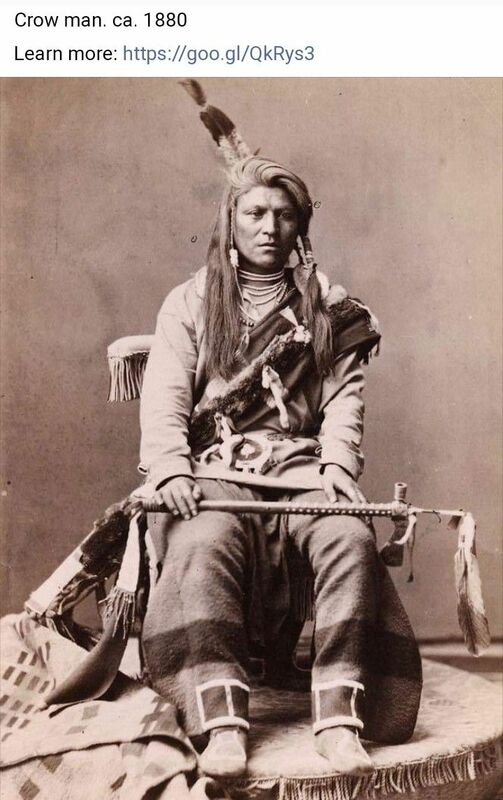 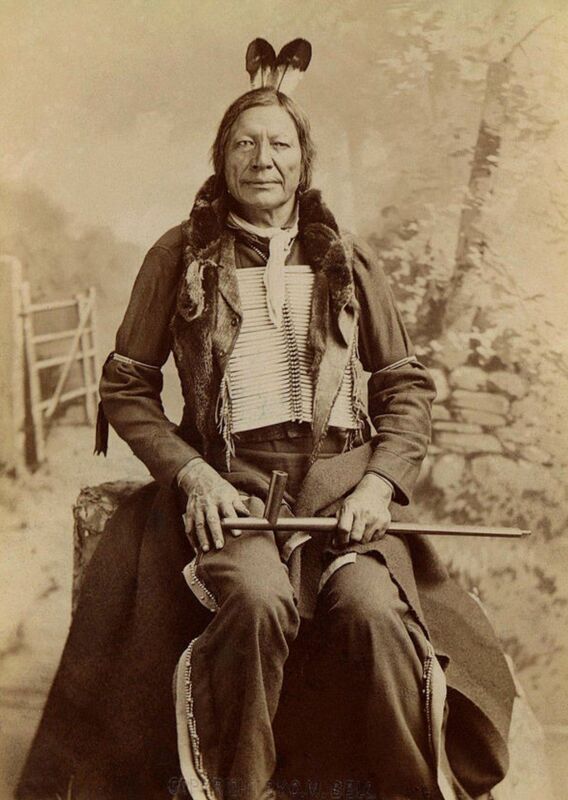 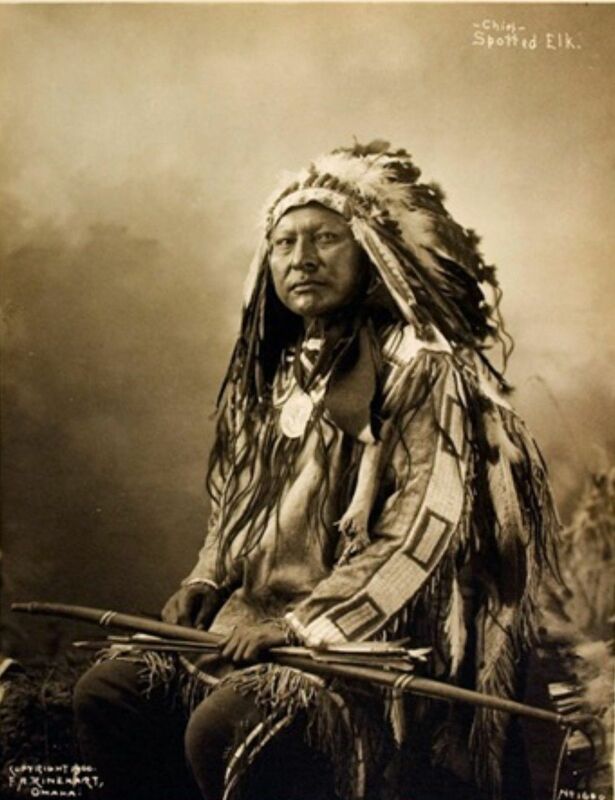 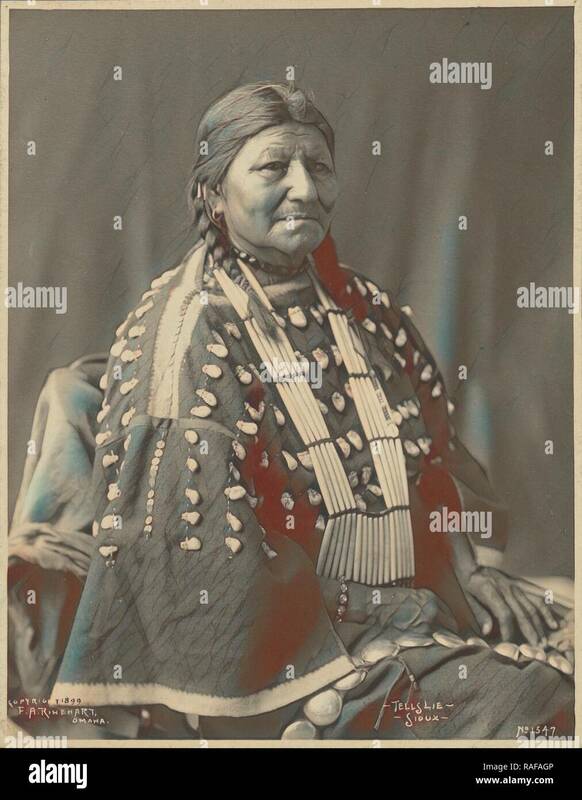 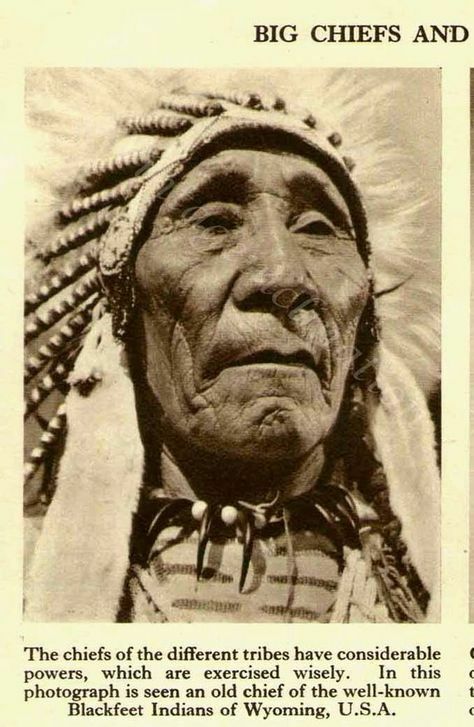 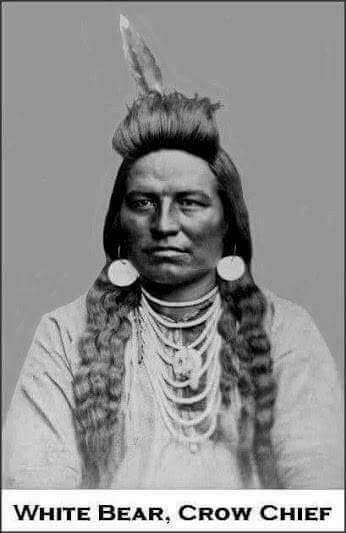 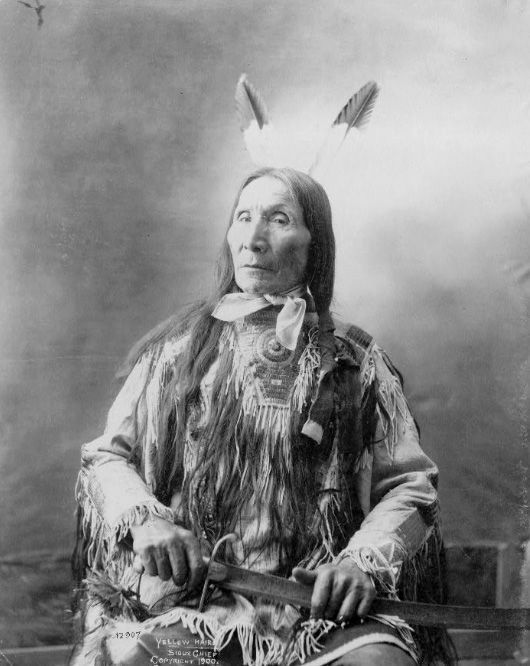 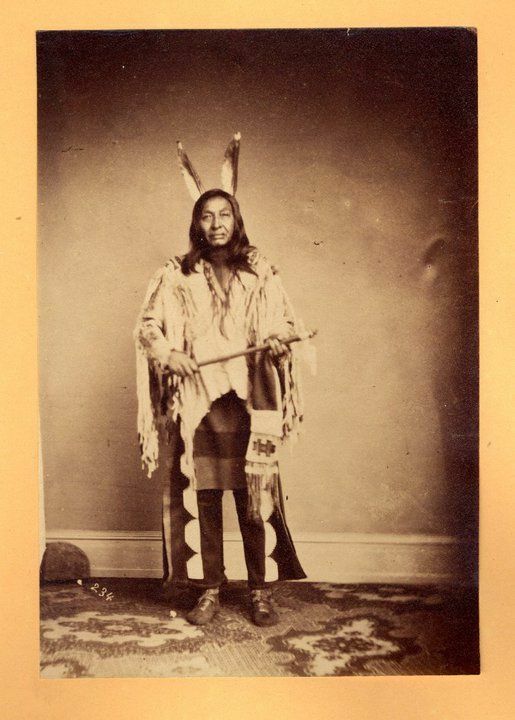 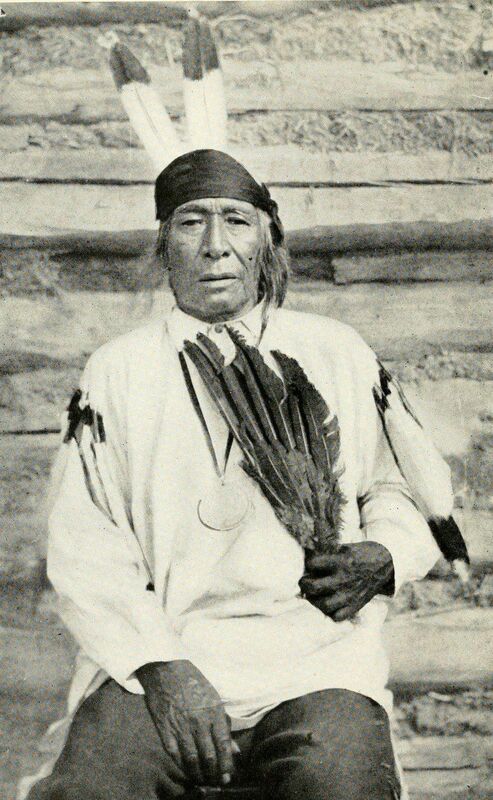 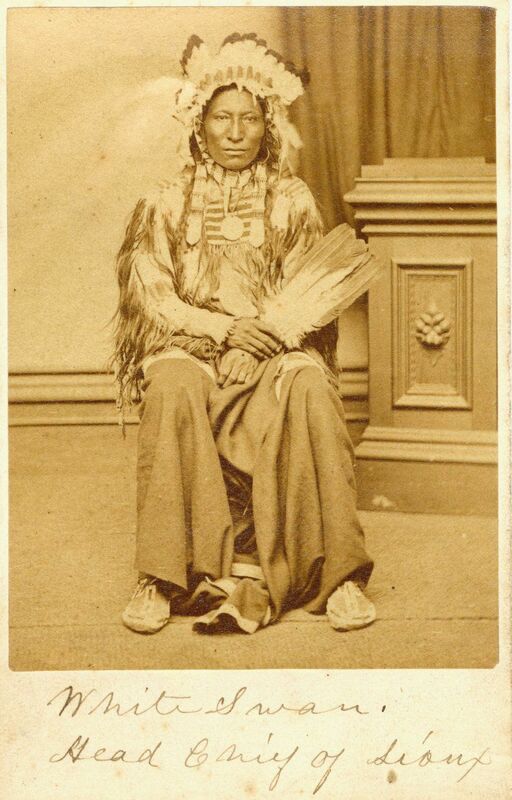 Itazipacola Lakota (Sans Arc Sioux) delegate Chief Se-tan-Si-tan (Che-tan-zhi; Yellow Hawk). 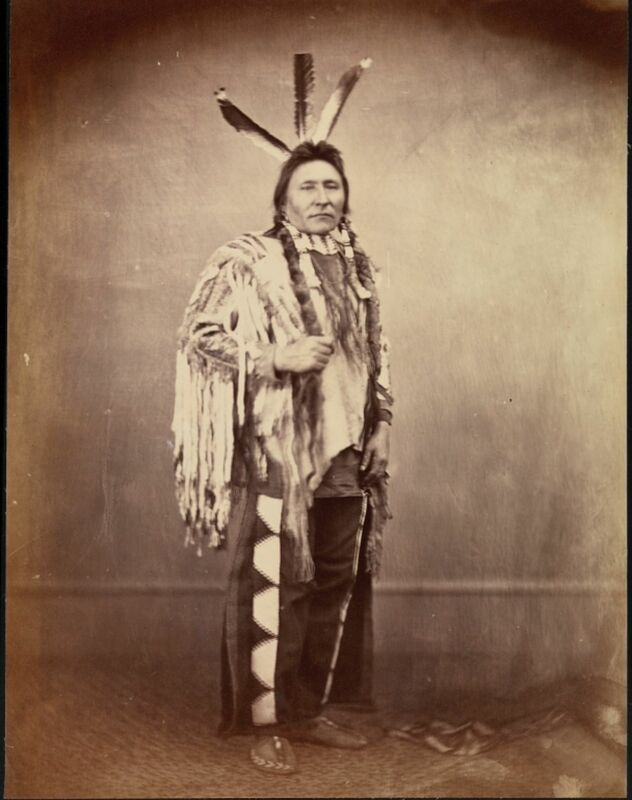 Washington, D.C. February 23, 1867. 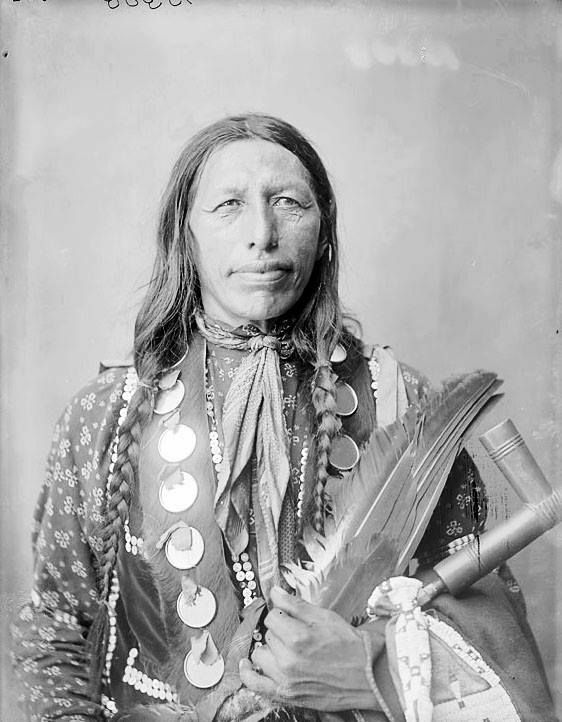 Alexander Gardner. 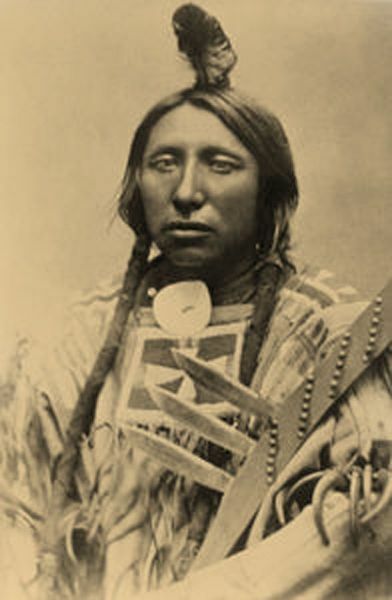 NMAI. 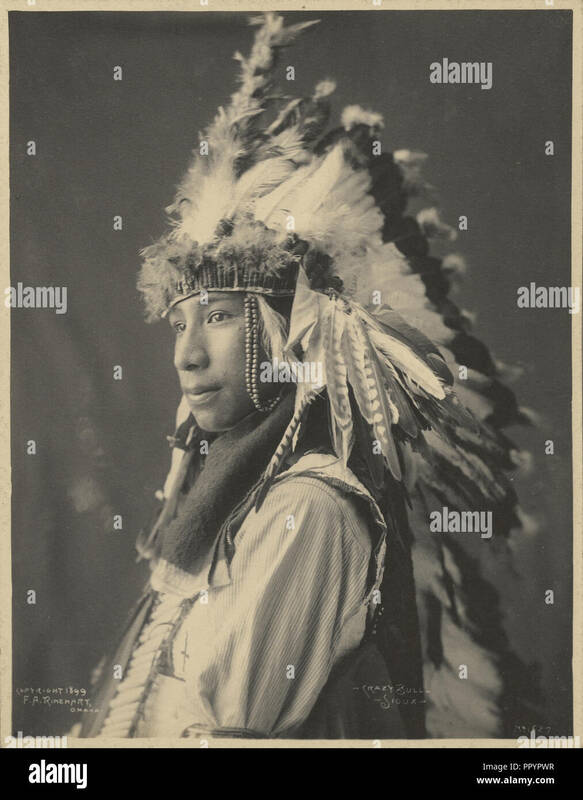 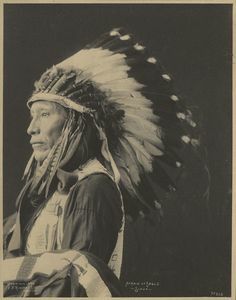 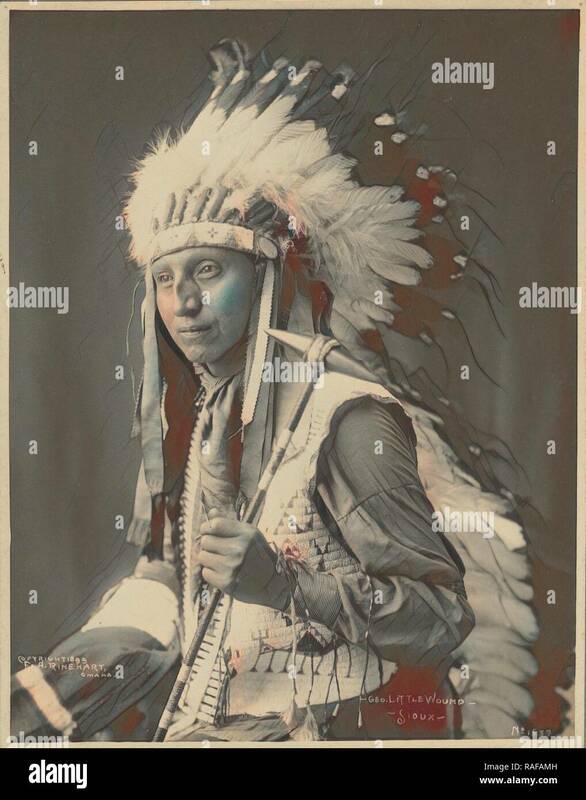 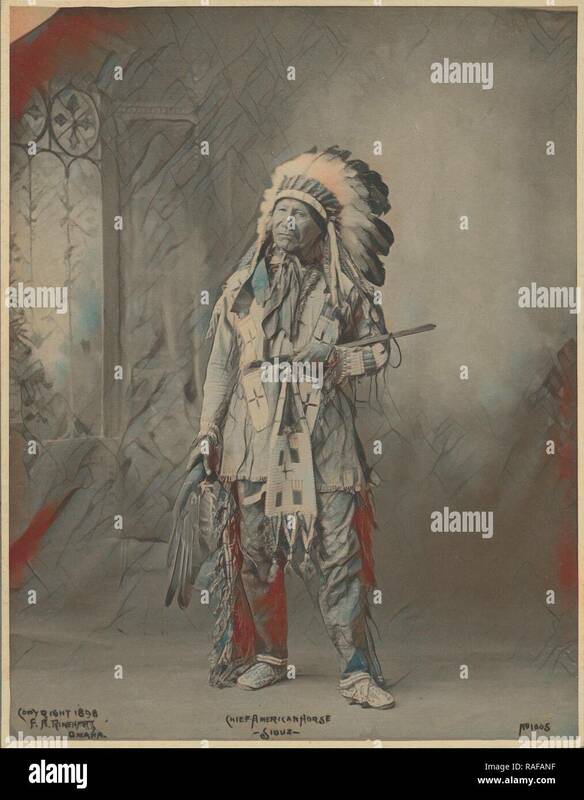 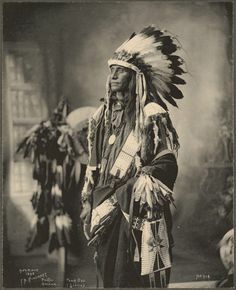 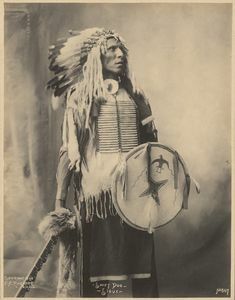 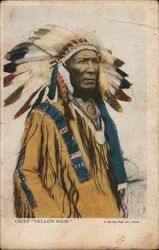 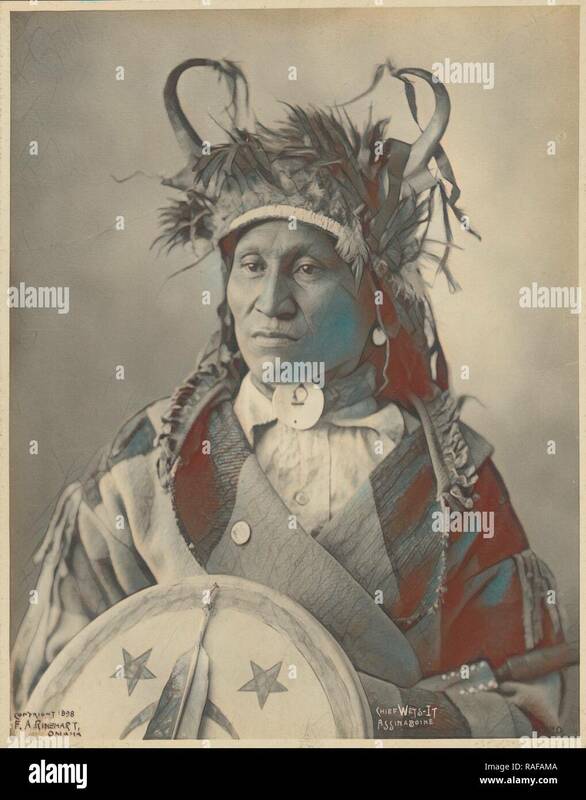 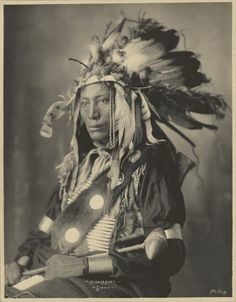 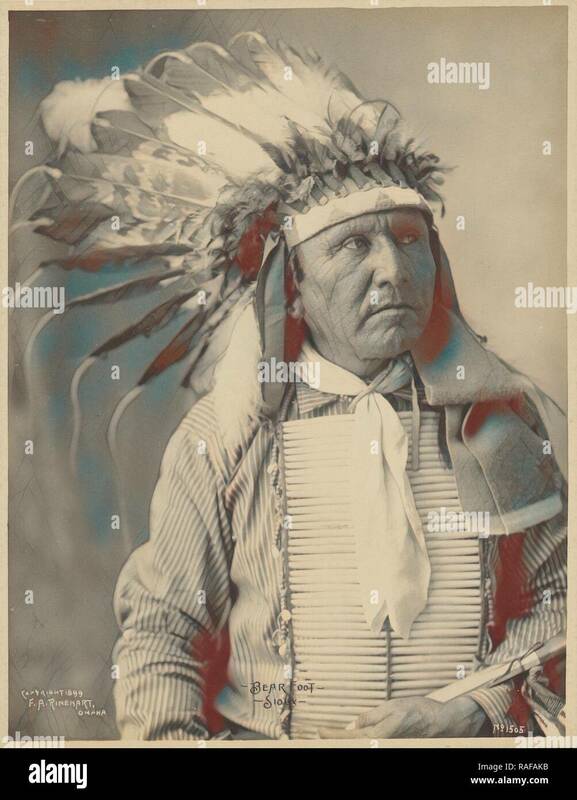 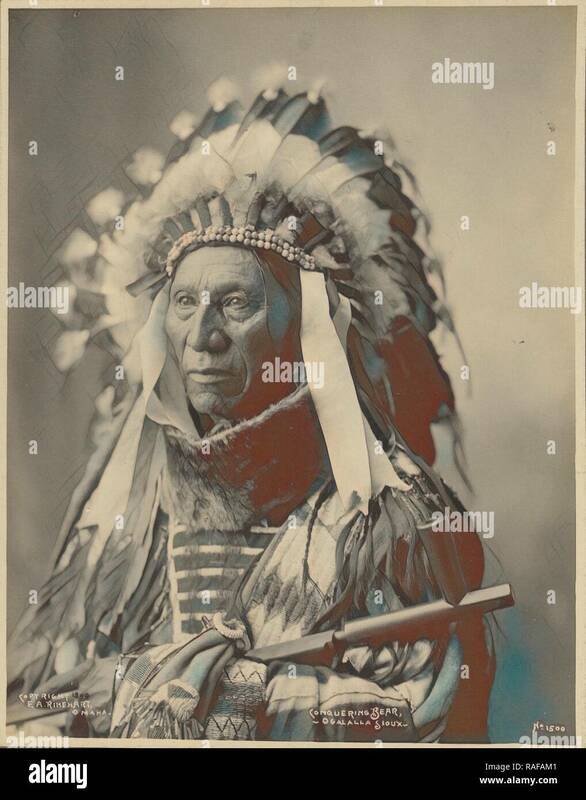 War Man, Sioux Chief, 1890. 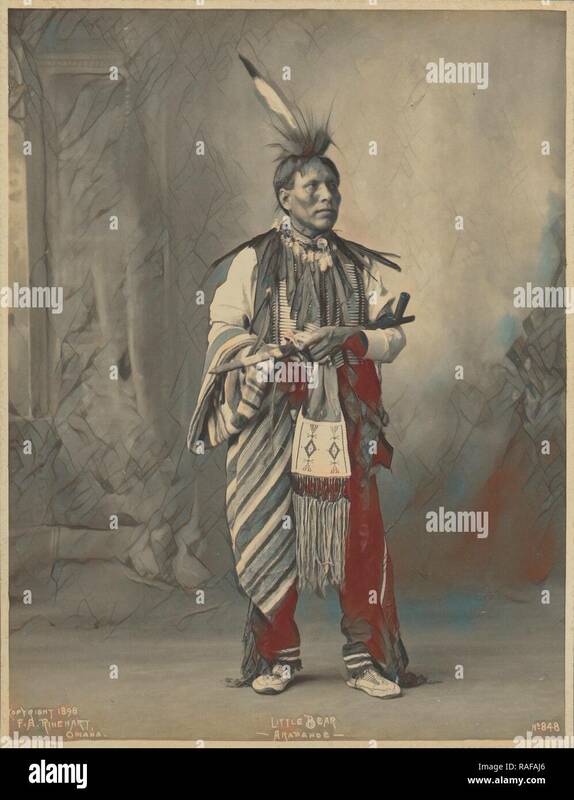 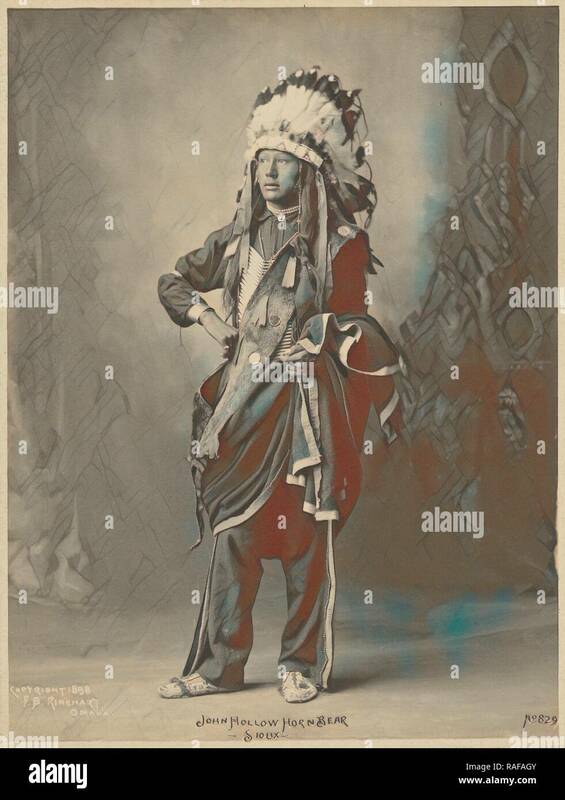 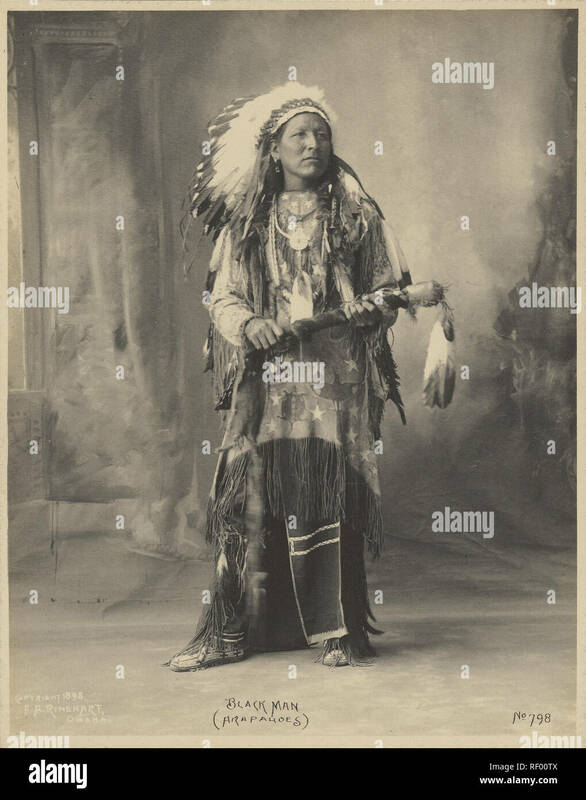 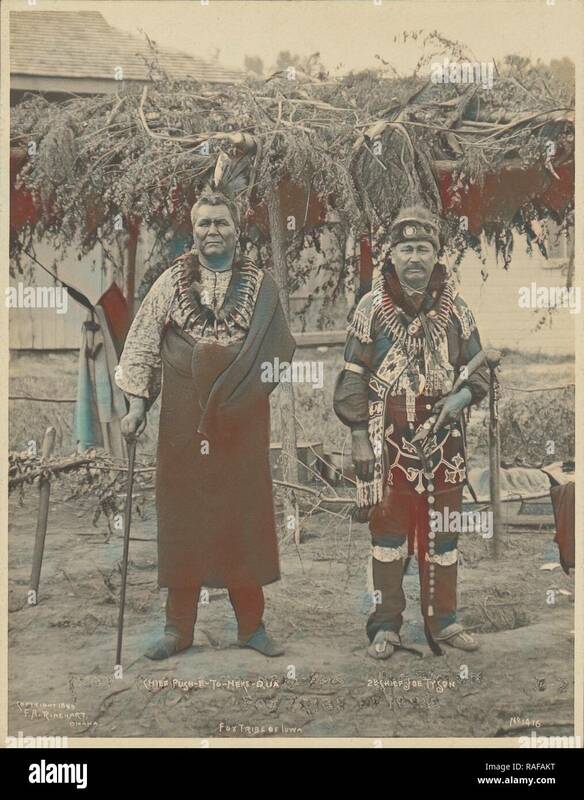 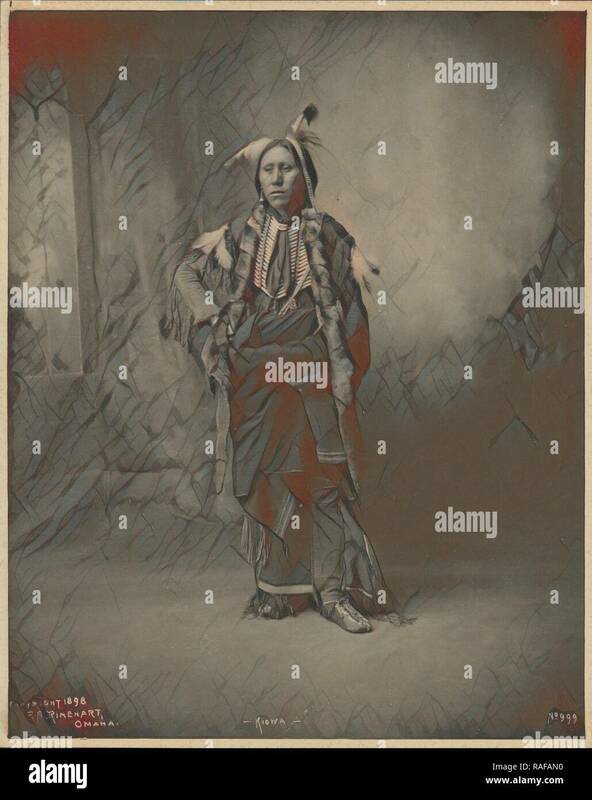 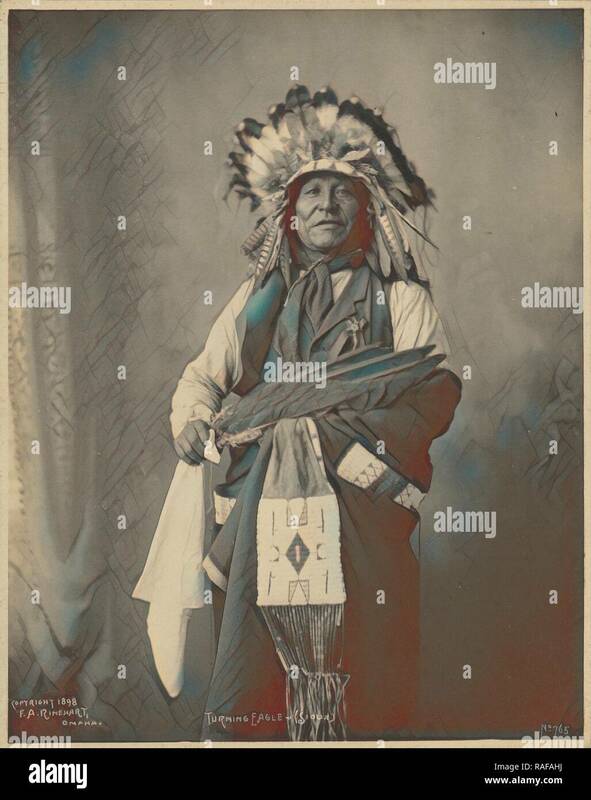 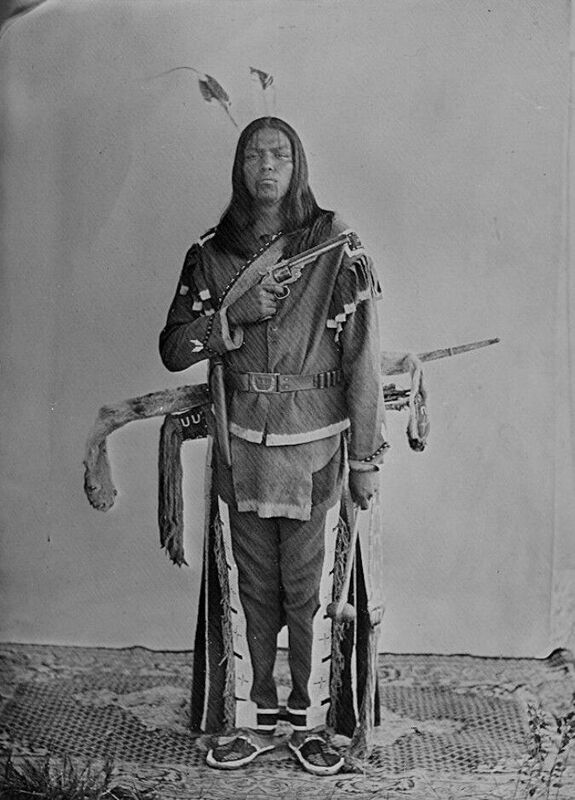 Chief of Loafer Band, Ta-Semke-Tokeco, Called Paul Strange Horse, in Native Dress with Headdress and Breastplate and Holding Bag MAR 1905. 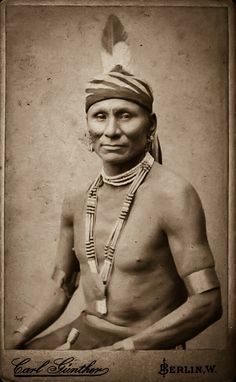 Lakota Brule. 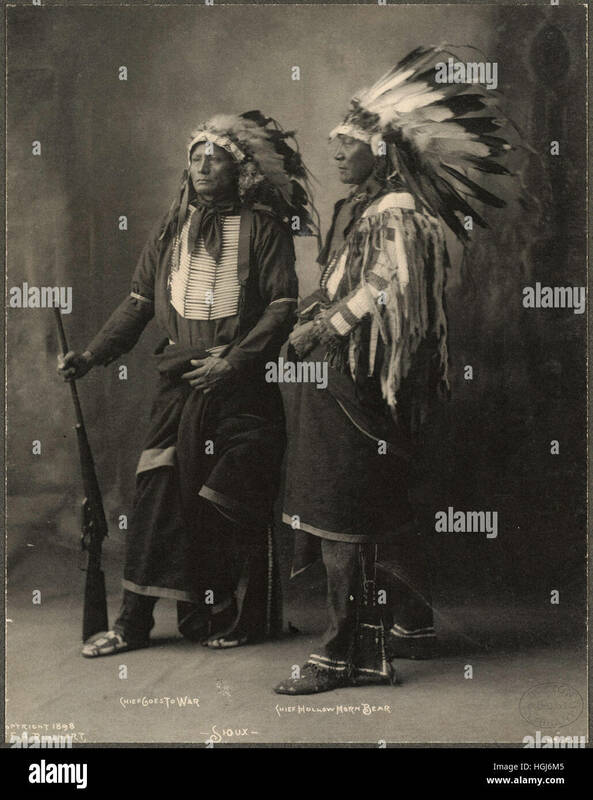 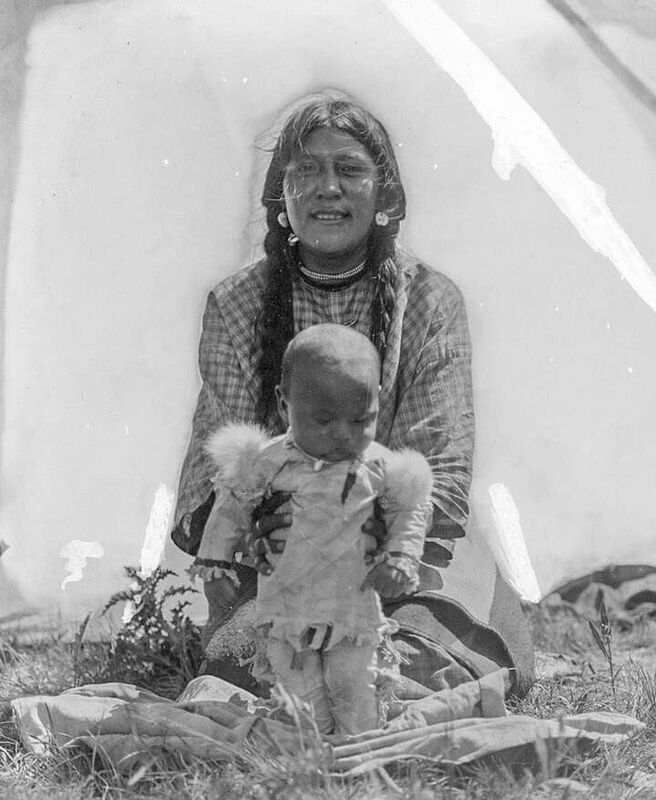 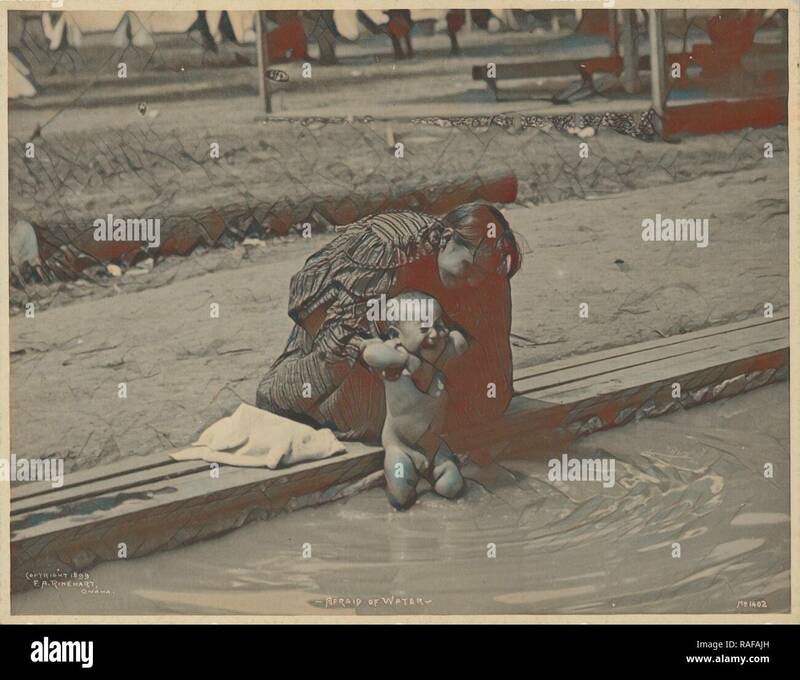 1909...LITTLE OWL AND BABY... BLACKFOOT. 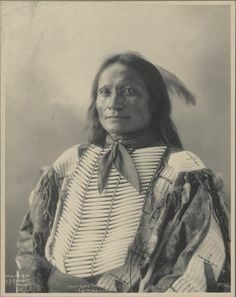 Spotted Elk, was the name of a chief of the Miniconjou, Lakota Sioux. 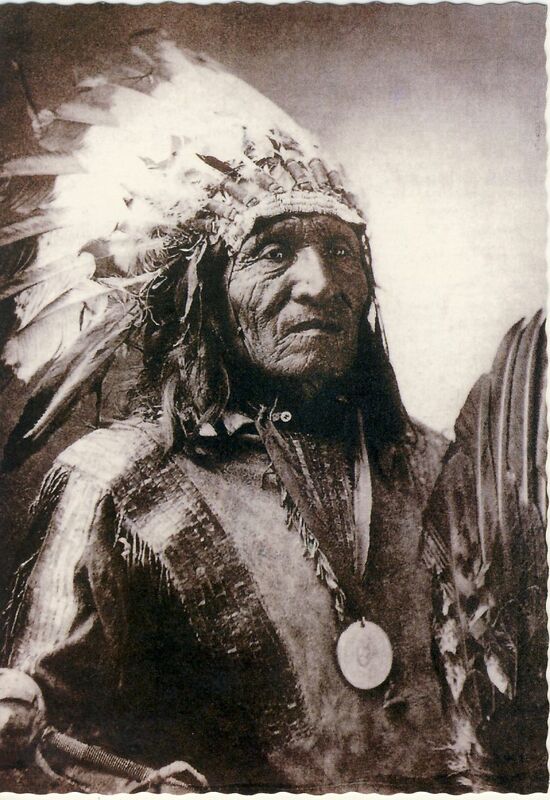 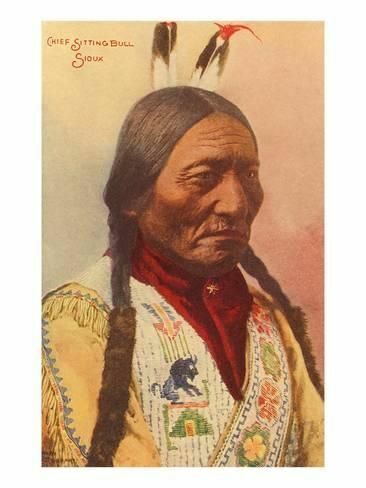 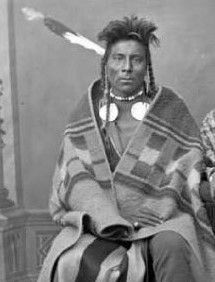 He was a son of Miniconjou chief Lone Horn and became a chief upon his father's death.